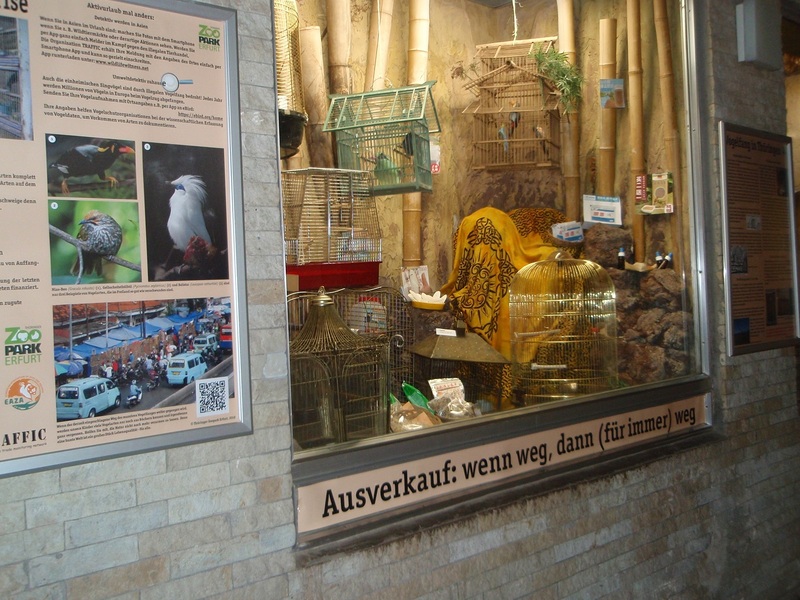 A few weeks ago, the opening speech about the Asian Songbird Crisis and the EAZA Campaign was given by curator Heike Maisch at ZooPark Erfurt for the launch of their new exhibition and already 252,50 Euro were collected for the Campaign! A great start! 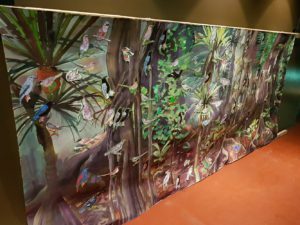 The special exhibit located in the old elephant and rhino house opened its doors on the 1st March. 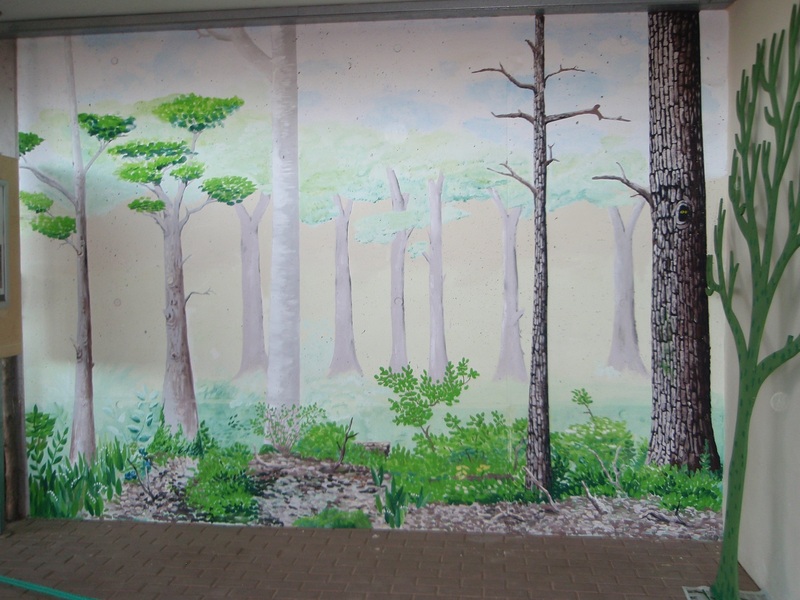 Two artificial forest areas have been designed and painted by Roy Bäthe (the name rings a bell? 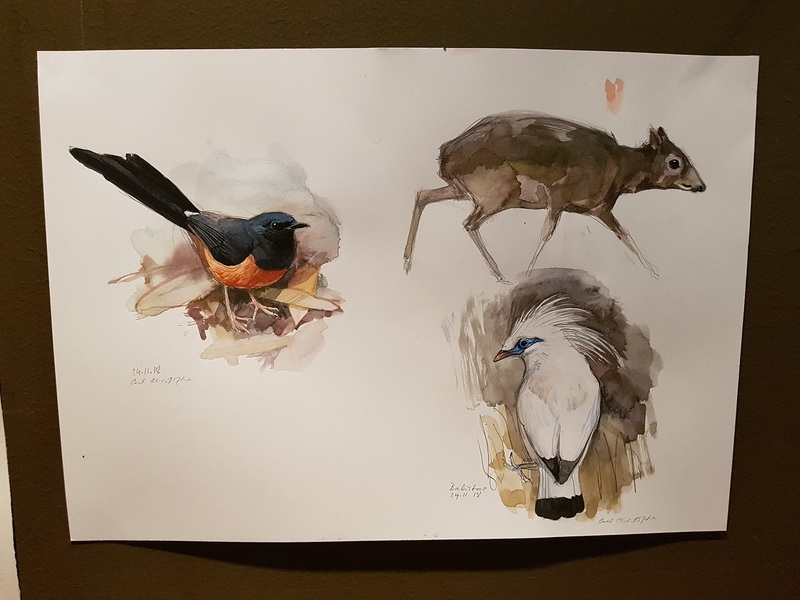 You might have seen some of his bird paintings here) and Heike Maisch for the exhibit. 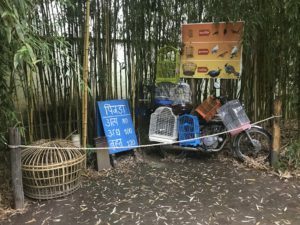 They are now empty of birds. 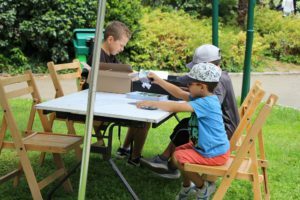 Kids and groups will create their own bird pictures during several special Silent Forest event days. 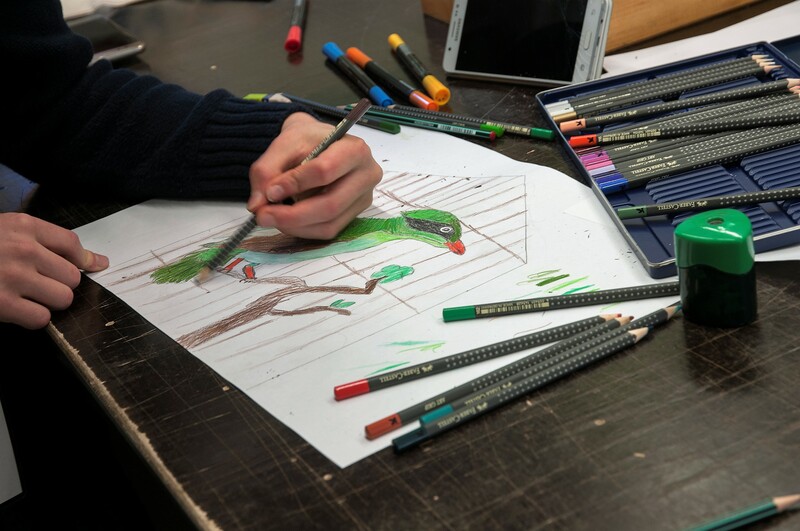 Together with the young artists we will bring those birds into the empty exhibit forests. 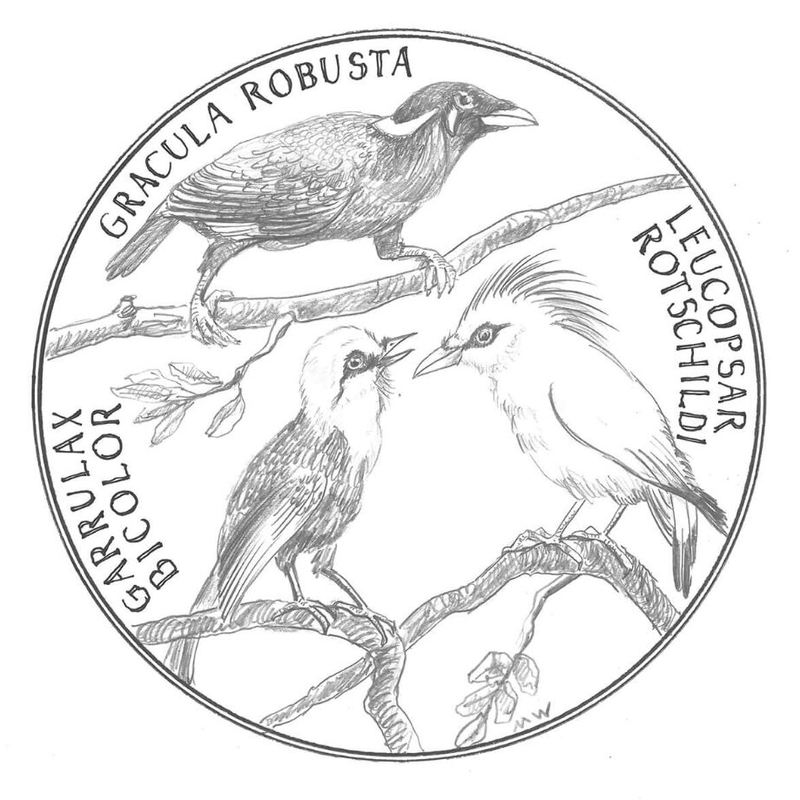 This is meant as a symbol of the aim of the campaign: to bring the birds back into the wild. 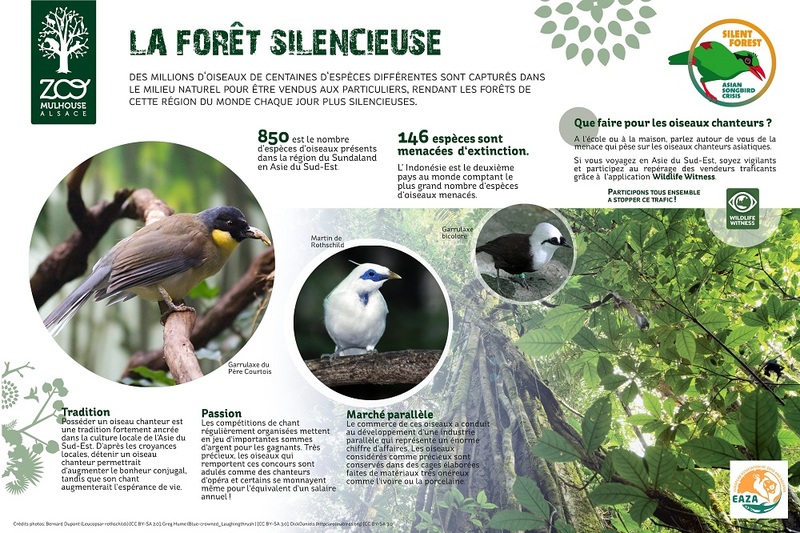 Hopefully, at the end of the campaign, both forests will be full of birds! 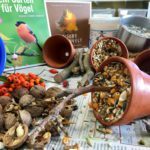 As we are in the second and final year of our Silent Forest Campaign, Wilhelma Zoologische Garten (Germany) sent us some updates about the awesome activities they have done in 2018 and will carry out in 2019 regarding Songbirds. 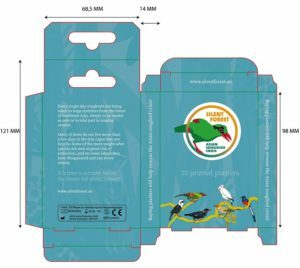 A few weeks ago, the zoo received their special edition of “Wilhelma Conservation Chocolate” advertising five conservation projects they support, including the Bali Myna Fieldwork project from our Silent Forest Campaign. 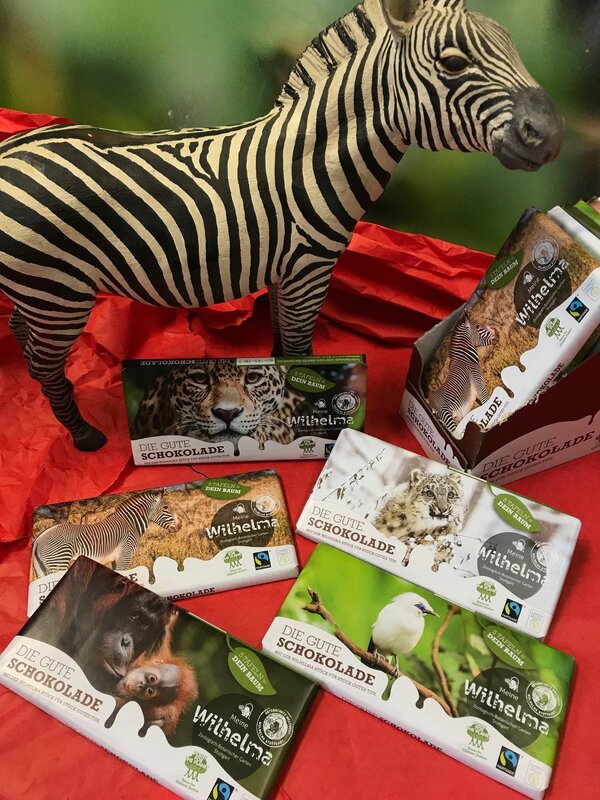 The chocolate is fair trade and palm oil free and is sold at the zoo restaurant and souvenir shop. 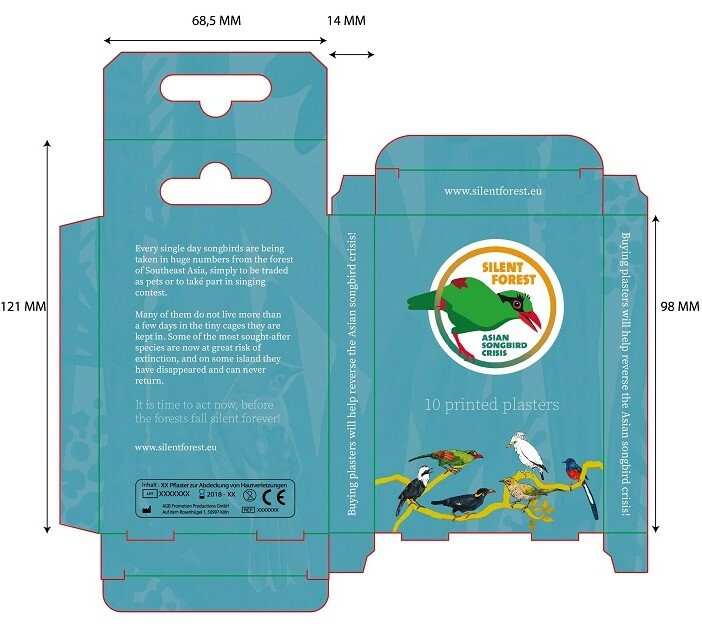 The profits will go to the projects depicted on the packaging, which are expected to yield 2000€ each. Look at the beautiful Bali myna! Beautiful and tasty! This is brilliant! 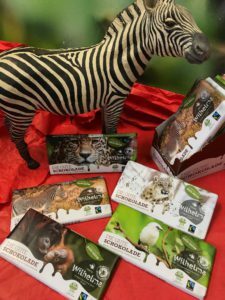 Who wouldn’t like to eat chocolate to help save birds?? 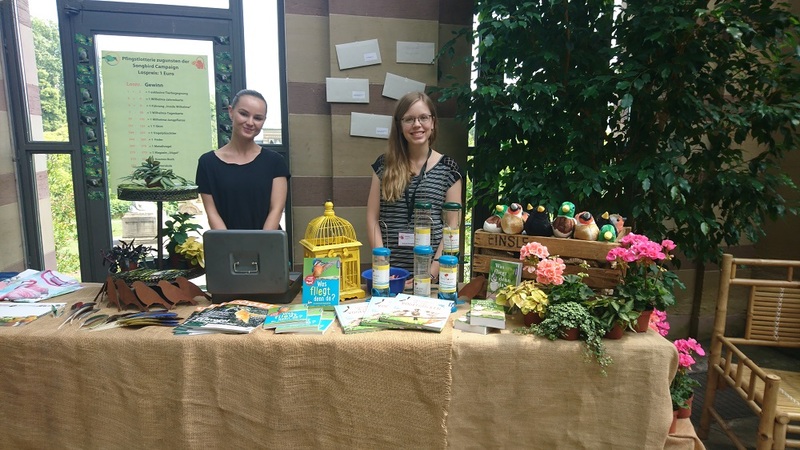 We were also thrilled to read that visitors enjoyed making bird feeders, bird baths, participating to a drawing contest, to a magic birds workshop and supporting our campaign through a fundraising lottery. 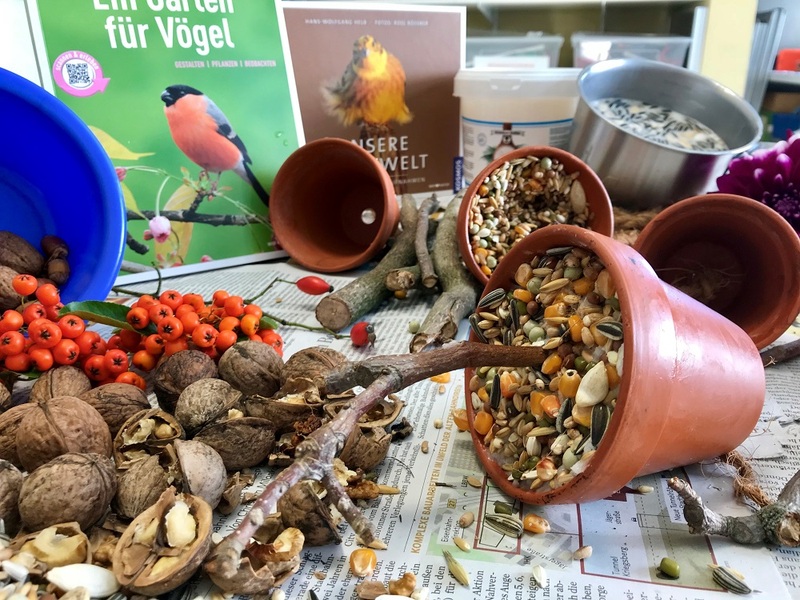 In addition, birding tours and nesting boxes crafting workshops – activities that were already well attended in 2018 – will be organized again this year, as well as a ten-day event with songbird-related activities for the children of the members of the association Wilhelma Freunde. 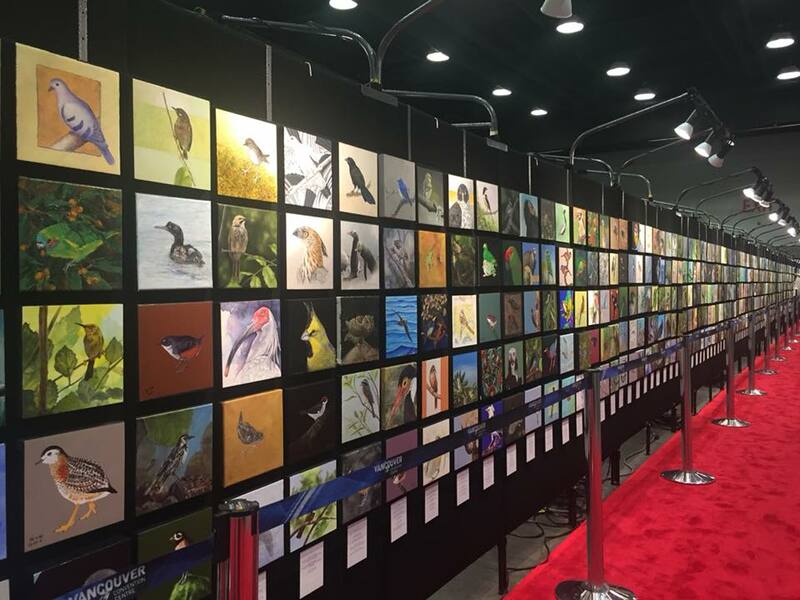 Find the complete schedule of the Songbird events and activities here. Copenhagen Zoo held its first Silent Forest campaign day on 24 November and it was a success! On that day, the Tropical House was not only the home of our bird species but also welcomed art, educative activities and a lot of FUN! 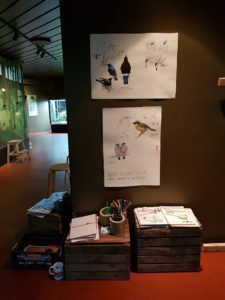 Our nature interpreters and the famous Carl Christian Tofte, artist and bird-book illustrator, painted and talked about birds. 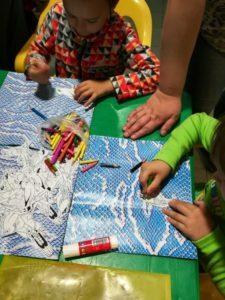 Kids could color or paint their own songbirds and “release” them to the wild on the rainforest wall. 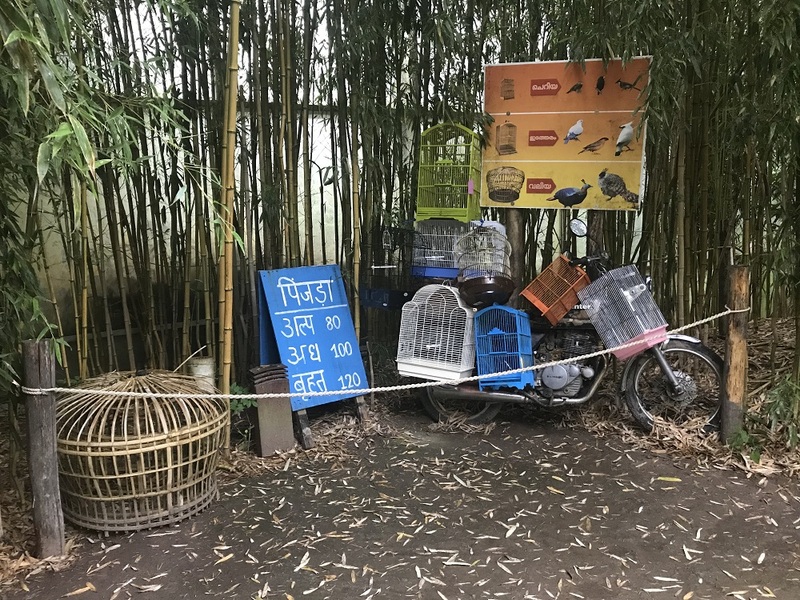 In the meantime, in the free-flight and bird enclosures, our zookeepers presented our bird species while feeding them and talking about enrichment activities. The threats and the situation in Asia were of course mentioned and great discussions took place in front of the exhibits. A perfect way to highlight the Silent Forest campaign and show visitors how they can help fight this crisis by donating their old binoculars (more information on the binocular collection here), some money or buying a cuddly Songbird toy for Christmas! A great day to be repeated! 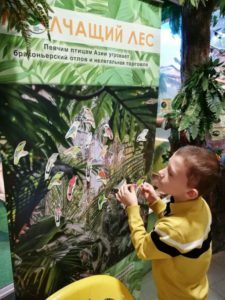 On the 6th of October 2018, while the International “Day of Animals” was celebrated at Tula Exotarium, our young visitors and their parents learned about the problem of songbirds in South-East Asia and about the EAZA Silent Forest Campaign. 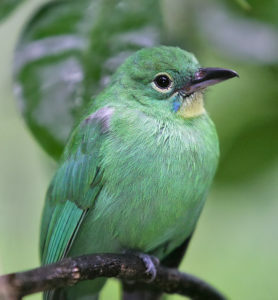 They could listen to the sound records of daytime tropical forest, as well as to the beautiful vocalizations of songbirds, and chose their favorite ones. 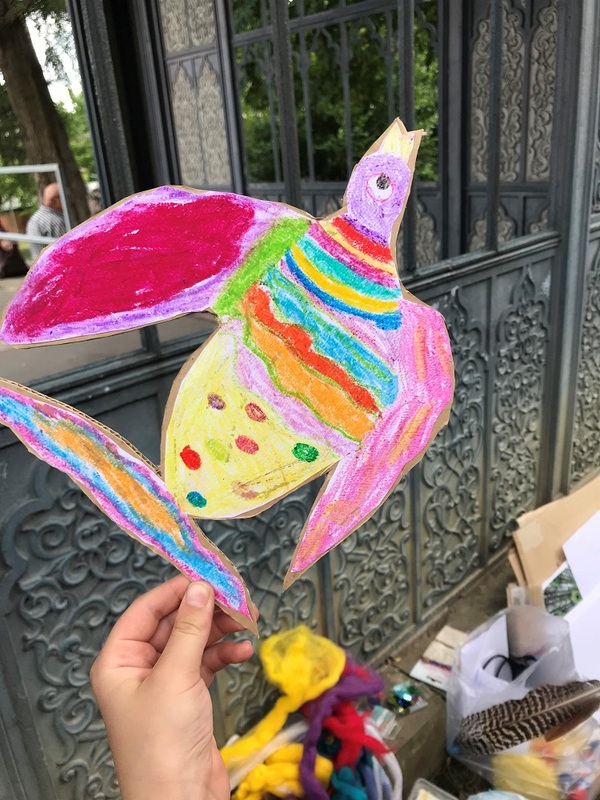 The children examined the colorful feathers of birds and learned about extinct species – victims of their wonderful plumage. They also discovered how these melodious singers are sadly caught and sold in Asian markets. Finally, the kids’ imagination was set free to color paper songbirds and restock a tropical forest wall! We are happy to see new ideas come to life to raise awareness of the Asian songbird crisis. 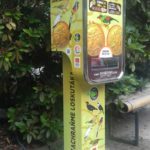 Liberec zoo, the oldest zoological garden in the Czech Republic celebrating its 100th birthday next year and the home of the Silent Forest campaign office, has just unveiled a unique Bird Astronomical Clock! 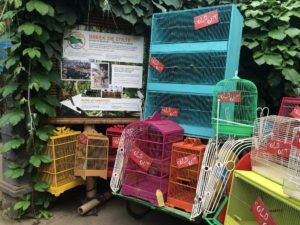 It introduces the endangered Asian songbirds, which have become a target of wildlife trade, to zoo visitors. 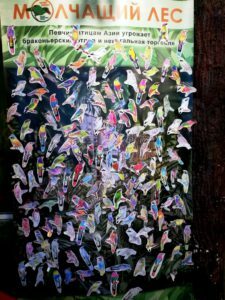 Similarly to the Walk of the Apostles on the famous Prague Astronomical Clock, every hour the six campaign songbird species appear in the window and visitors can listen to their songs. 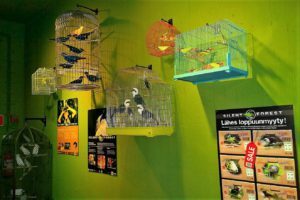 The beautiful bird models are made of wood and steel and measure one meter! Built in cooperation with the Technical university of Liberec and a Czech sculptor, the clock draws attention to the problem of extinction of the quite unknown songbird species. The endangered bird clock – whose idea was suggested 10 years ago – has finally become reality, and it is gorgeous! 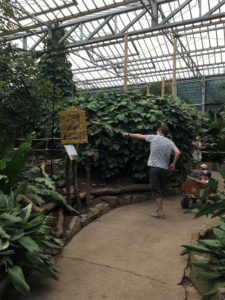 Don’t forget to go see it next time you are in Liberec Zoo! Some encouraging news from one of the pre-selected projects for the Silent Forest Campaign. 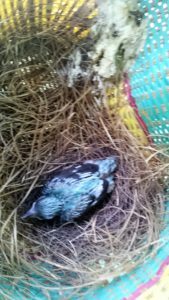 In the Songbird breeding facility Prigen Conservation Breeding Ark (PCBA), the very first Javan green magpie has hatched only a few weeks ago. 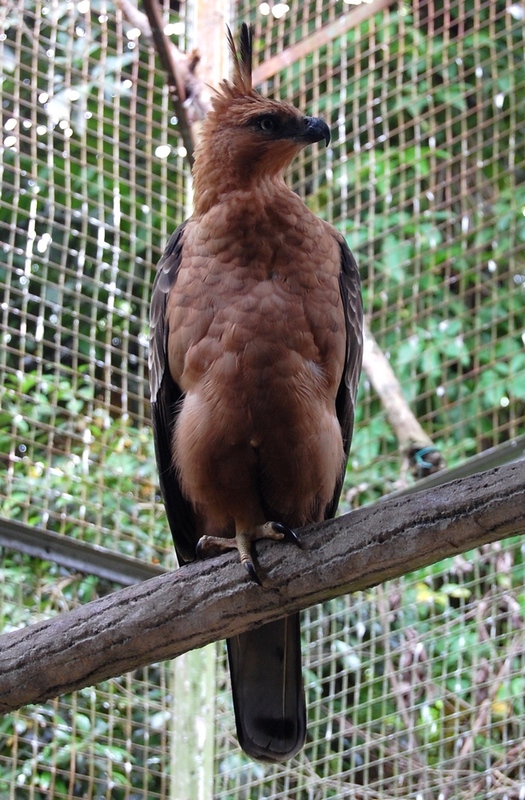 It was reared by its parents in the custom made breeding center with the highest level of privacy. Now it has fledged successfully, we have received the first images. 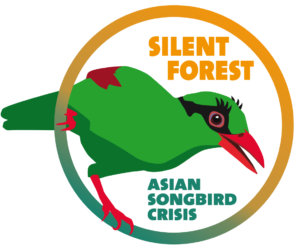 The young Magpie is officially part of the newly approved Javan green magpie EAZA Ex-situ Programme (EEP) and PBCA is a registered non-EAZA partner. The breeding center, located on the grounds of the Taman Safari zoo in Prigen (Eastern Java), is run by the KASI Foundation. 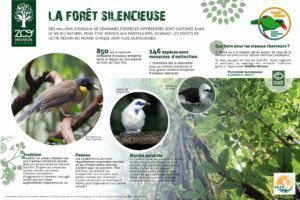 Its ongoing development and construction is co-financed by a number of EAZA institutions through the Silent Forest Campaign. 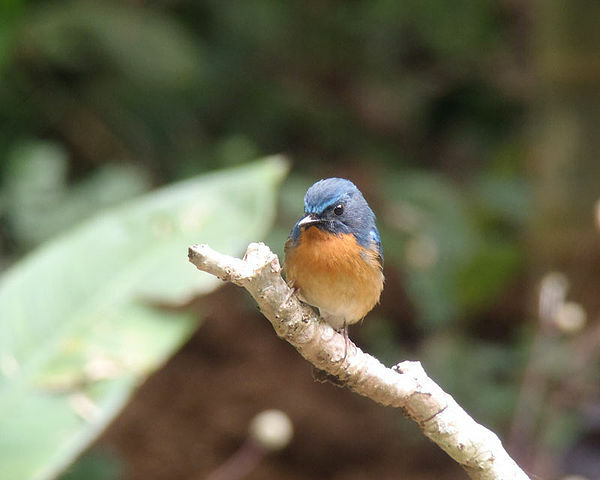 Follow all the news from the Prigen Conservation Breeding Ark on the Project website. 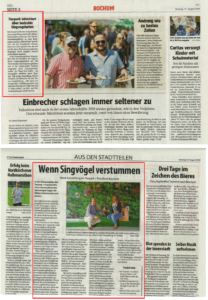 We are pleased to see the Silent Forest Campaign is spreading through Europe! 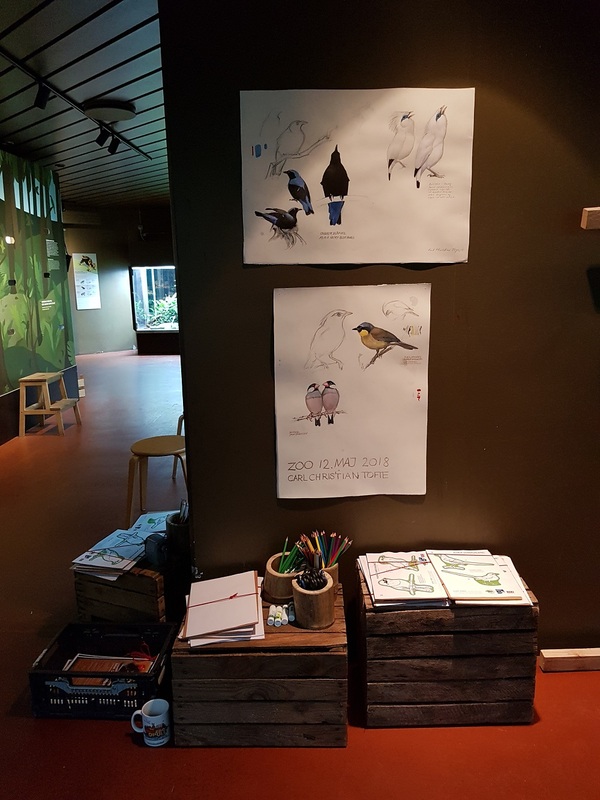 We received some news from Helsinki zoo where the Finnish visitors can learn about the Songbird crisis via many activities. 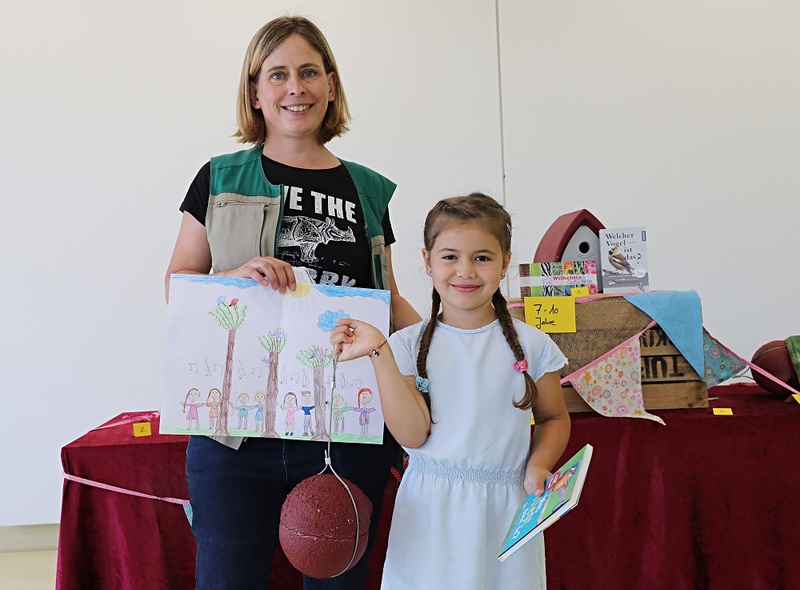 Several schools took part in a bird-theme day earlier this year. 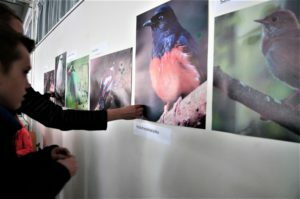 The teenagers created material for the social media – the goal being an action poster – cartoons and short theater plays to tell their schoolmates about the need to protect songbirds in Asia. In addition, a singing contest of songbirds’ vocalizations was organized. The winner was the Blackbird, a local species. 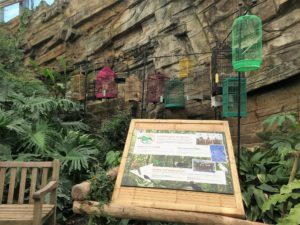 As we all love hearing these feathery animals, Helsinki zoo had the great idea to display a bird song automate during Spring. 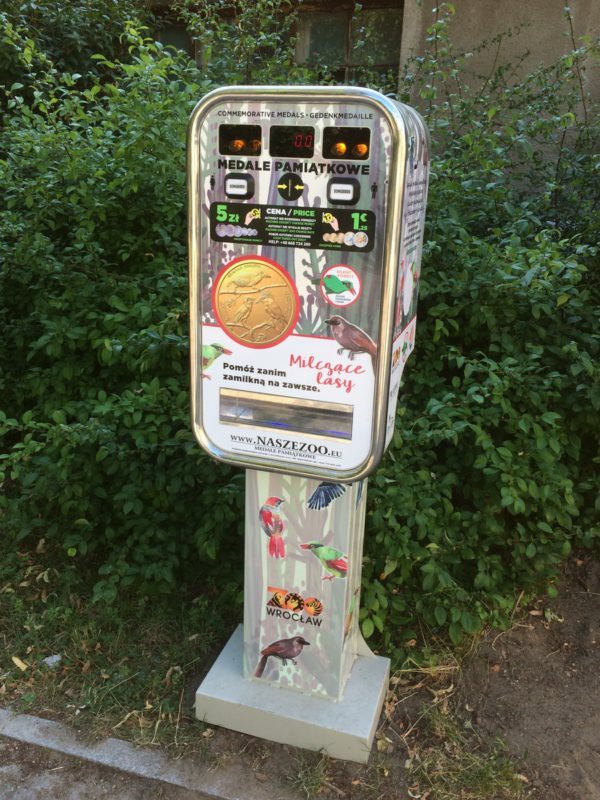 In exchange of a coin, visitors could listen to their favorite songbird vocalization! Visit the audio Resource page to find out which one is your favorite?! 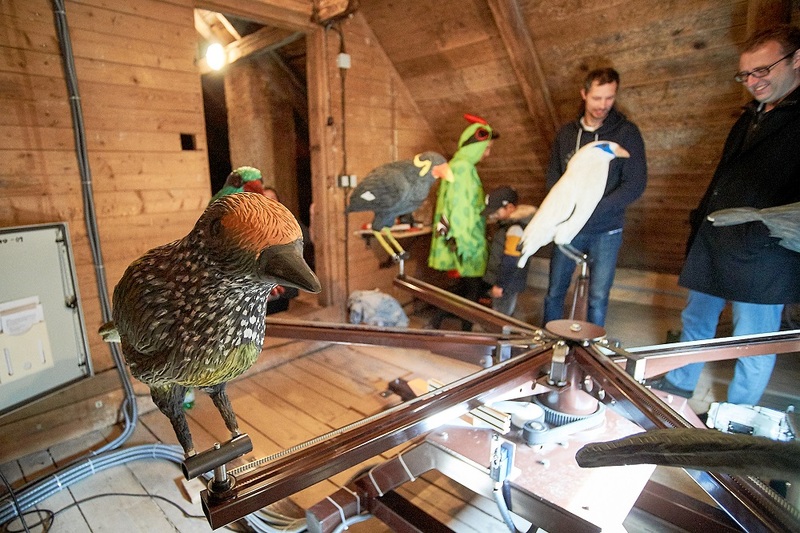 Finally, during a weekend, a lottery with a spinning wheel was organized and hosted by a giant bird of an unknown species! Congratulations for the great ideas and thank you for your involvement! Photo credits: Kirsi Pynnonen and Emmi Lustig. 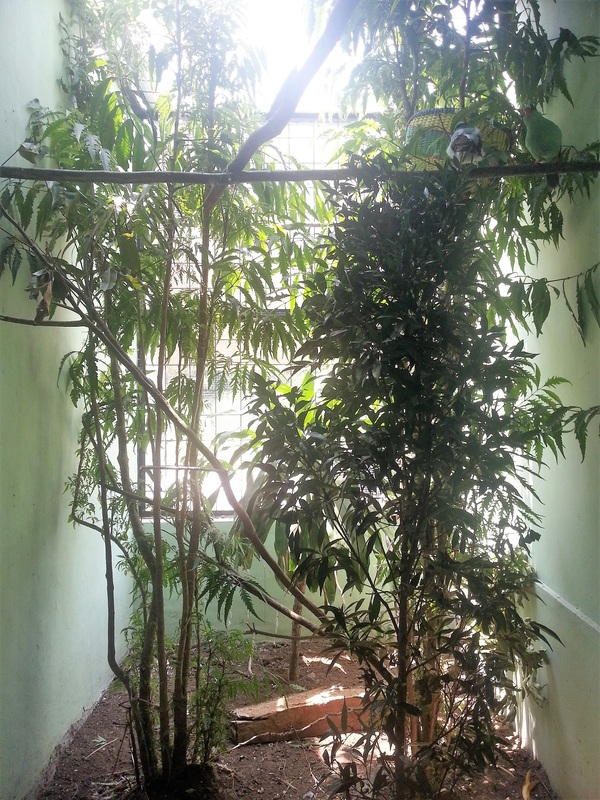 Two weeks ago, we posted the first part of Yudi’s story (read it here if you missed it). 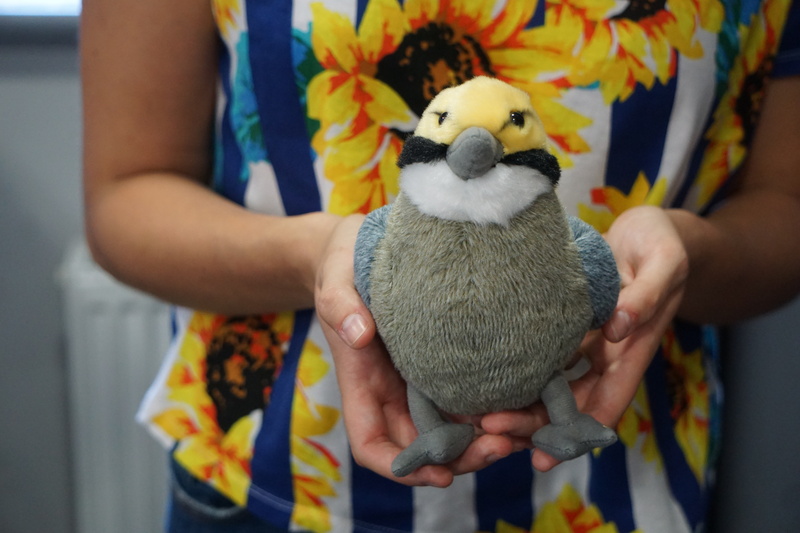 Today he talks about his hobby: birdwatching. “I started birdwatching in 1998, influenced by a campaign on saving Javan sparrow, conducted by one of the Indonesian birdwatching clubs. 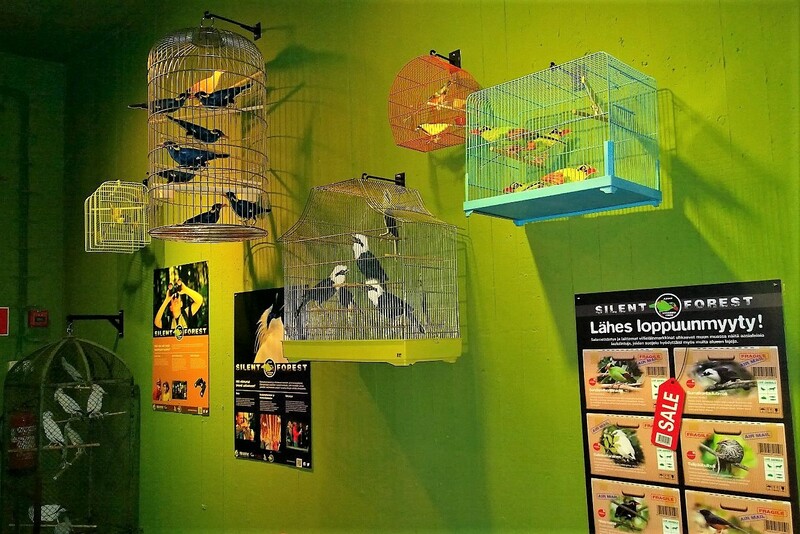 My reason was simple: I love birds! But I haven’t had the space and the time to breed them since I started college. So, enjoying the songs of wild birds was an alternative for me. 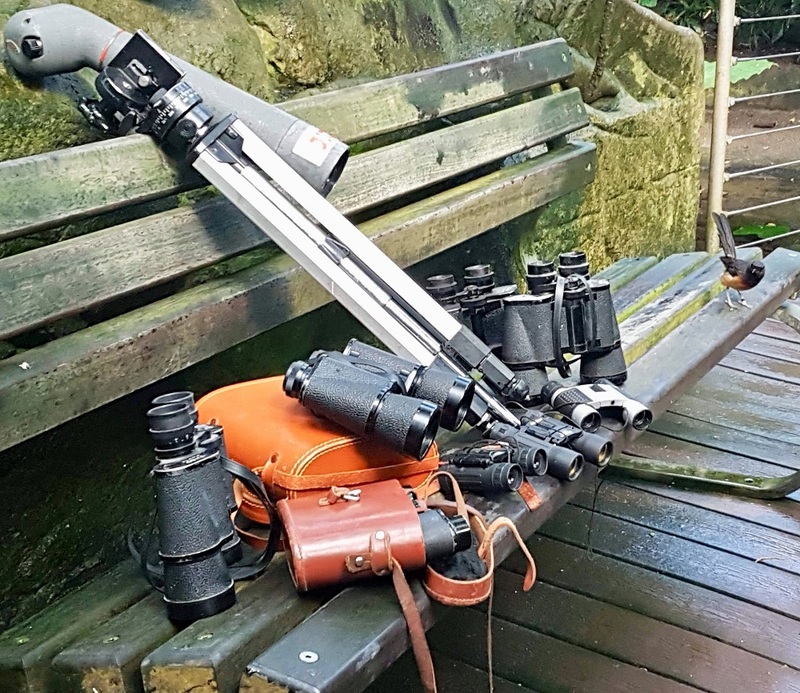 Having birdwatching as a hobby, made me think about many things. As a student in Biology Faculty, I learnt about taxonomy, histology, reproduction, ecology, etc. But above all, the most interesting subject was conservation. I started realizing what would happen if people kept catching them and there were no more left in the wild. I also joined a Nature-lover organization, so I explored the jungle many times and as a bonus saw hundreds of bird species. 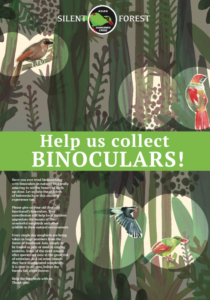 Together with other members, we started to promote birdwatching as part of the organization’s programs. 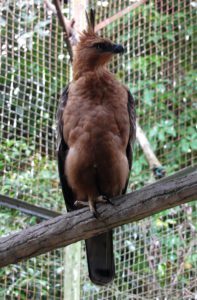 In the beginning, we were involved in a campaign to save Javan hawk-eagle, that is believed to be our national symbol: Garuda. 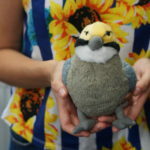 During this campaign, we met some people working for bird conservation in Jogjakarta and Bogor. They agreed to mentor us in developing our capacity in wildlife conservation, especially for birds. In the meantime, we also had good relationships with local people in Mount Slamet – Central Java, where we were having frequent activities. 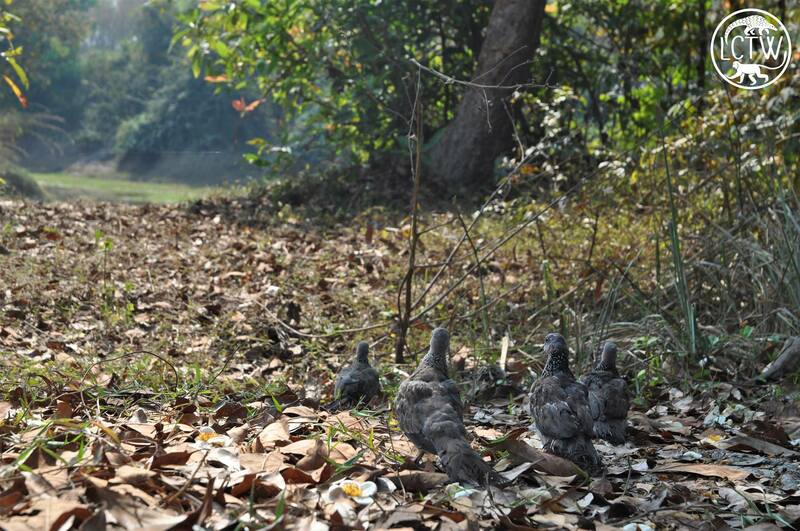 These people’s lives depended on the forest, including poaching birds. 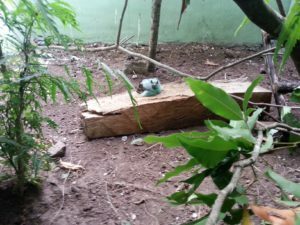 They taught us how to recognize the species from their vocalizations, about their behaviour, their natural food, even how to catch them, etc. Although I was starting to have a different perspective on how to love birds, I have had a good relationship with most of them, and still do today. Fortunately, I had an opportunity to work in wildlife conservation in Indonesia. I joined Copenhagen Zoo to work in Baluran National Park, East Java, and try to save some Endangered species such as Banteng, Javan leopard, Javan dhole, Javan warthy-pig, Green peacock etc. 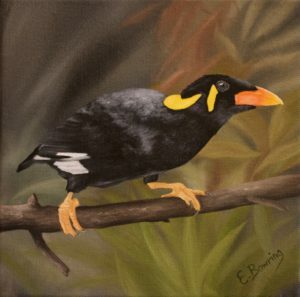 Another one is the songbird Grey-backed mynah. 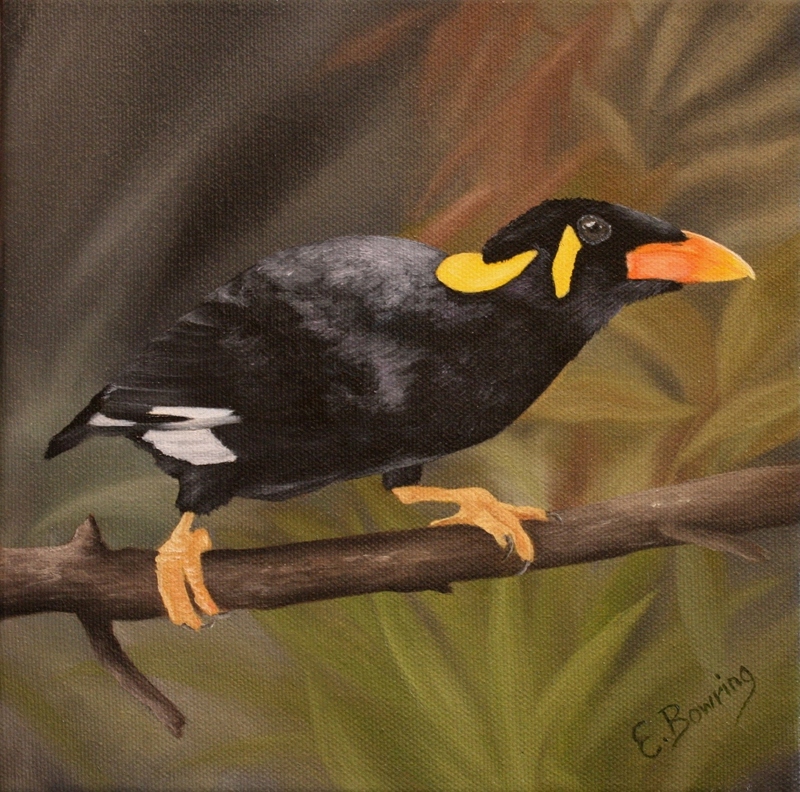 Even though we work in the natural habitat of 80% of its population, this species is currently Critically Endangered. It is truly a big challenge, but this is the fact we must face. Next time, he will tell us what he does to help wildlife conservation. Stay tuned! Earlier in the year, Emma Bowring, a young British artist asked permission to use photos from the Silent Forest website as models to paint. 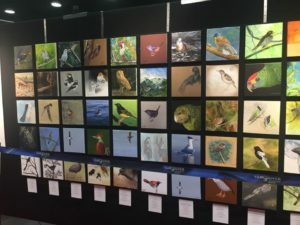 She wanted to take part in a project being undertaken by “Artists for Conservation”: a 100 ft mural of 8in x 8in canvasses featuring 678 endangered birds of the world! 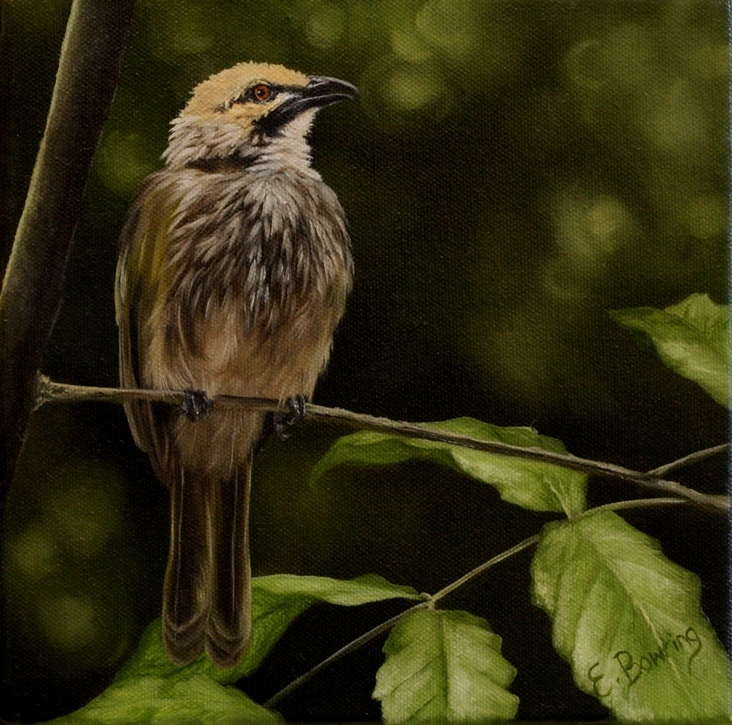 Any money raised from the project, including sale of the paintings will go towards conservation projects. 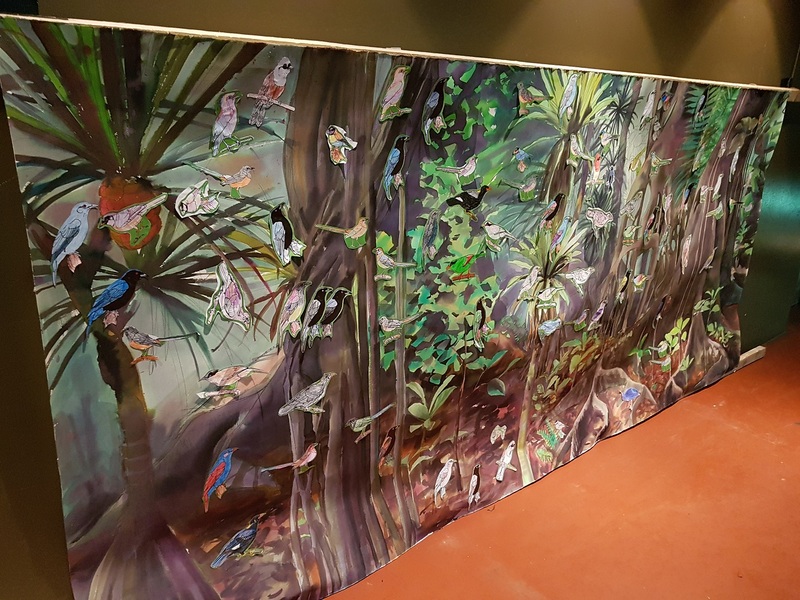 Emma very kindly sent us pictures of the beautiful Nias Hill Myna and Straw Headed Bulbul that she painted, as well as photos of the mural. Thank you for sharing with us another great contribution to Wildlife conservation! 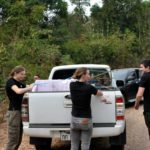 The Lao Conservation Trust for Wildlife (LCTW) is the only Lao registered non-profit wildlife organisation working on the rescue, rehabilitation, release, sanctuary, conservation of wildlife in Laos – a treasure trove of unique biodiversity. 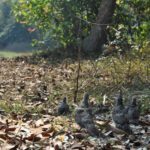 They have a strong footing in many conservation programmes on a national, regional and global scale and also deliver a strong message of education for Lao people – to engage them in preserving nature. 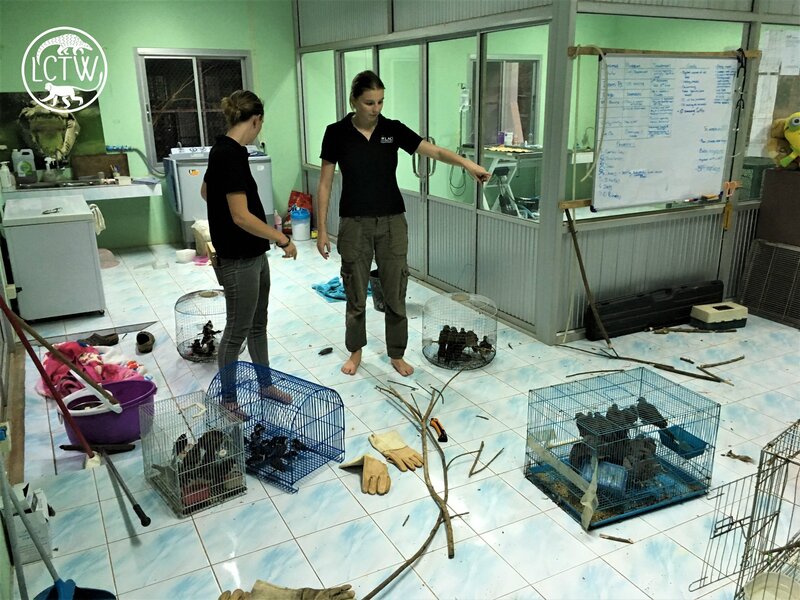 Partly due to its geographical location, Laos has become a major highway for the illegal wildlife trade with parts coming as far from Africa, through Asia and into high consumer countries, such as China and Vietnam. 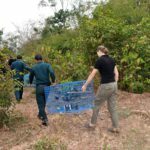 The LCTW, with the enforcement authorities and other organisations in Laos, combats this trade and aims at improving enforcement and knowledge about this issue. 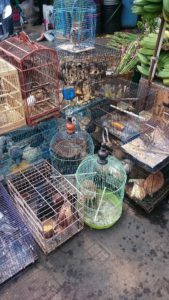 At the end of July, the LCTW Rescue Team was called upon by the Lao Government to help in the confiscation of a total of 105 Birds, of various species, being kept illegally by a pet store in Vientiane, the capital of Laos. 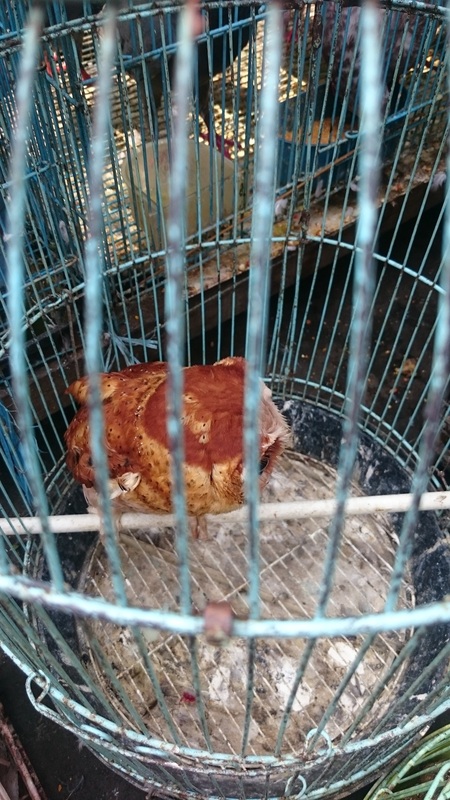 They found the birds in poor conditions in overcrowded cages, full of excrements and little access to food or water. Sadly, some had died before the Rescue Team arrived. 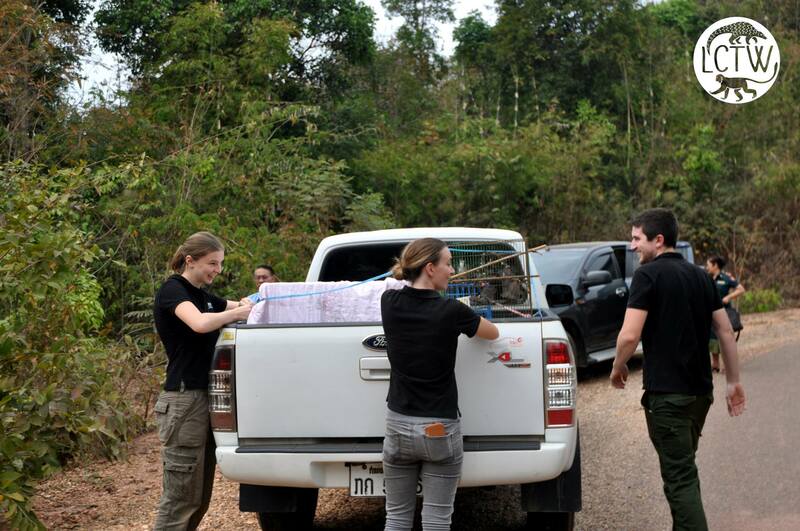 The others were brought back to the LCTW Rescue Centre and Wildlife Hospital. 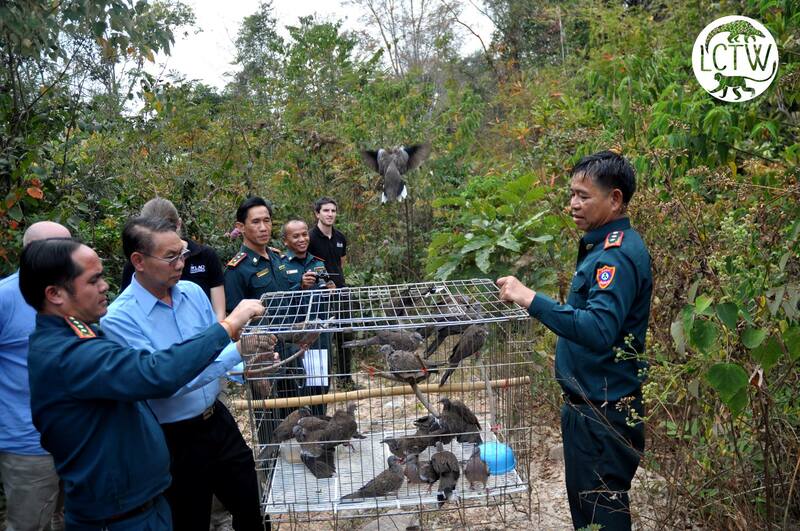 As the rescued birds are all native to Laos, the LCTW team can assess them for rehabilitation and release. 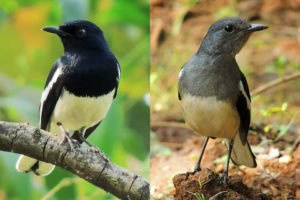 They include Red-billed Blue Magpies (Urocissa erythroryncha), various Dove species, various Myna species, Red-breasted Parakeets (Psittacula alexandri) and Red-whiskered Bulbuls (Pycnonotus jocosus). 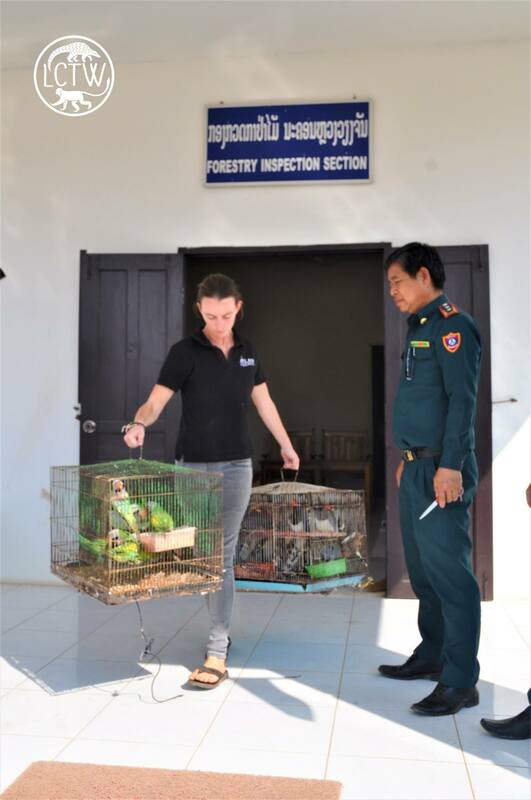 Thanks to this successful operation, in cooperation with the Department of Forestry Inspections in Vientiane, over 100 birds were saved from illegal wildlife trade! 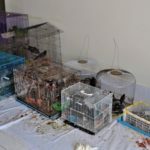 Even better news: after housing the birds for just a few days, LCTW staff assessed that the majority was healthy and strong enough to be released back to the wild! 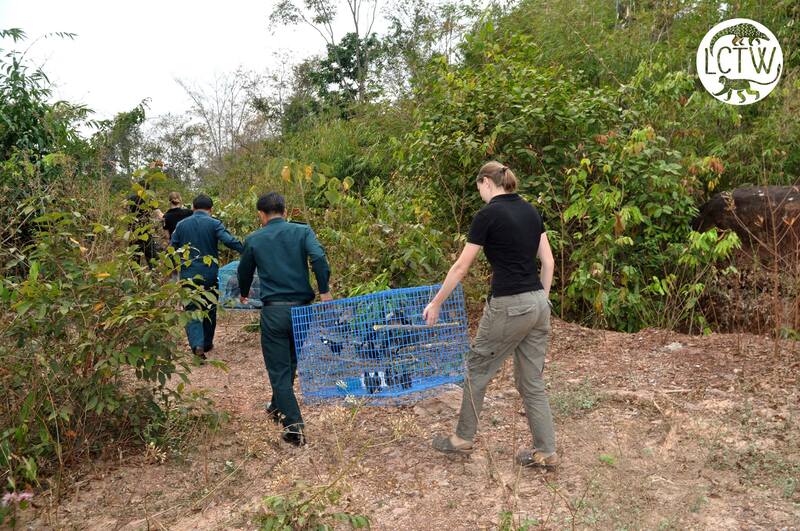 Two release missions were carried out in secret and protected locations. 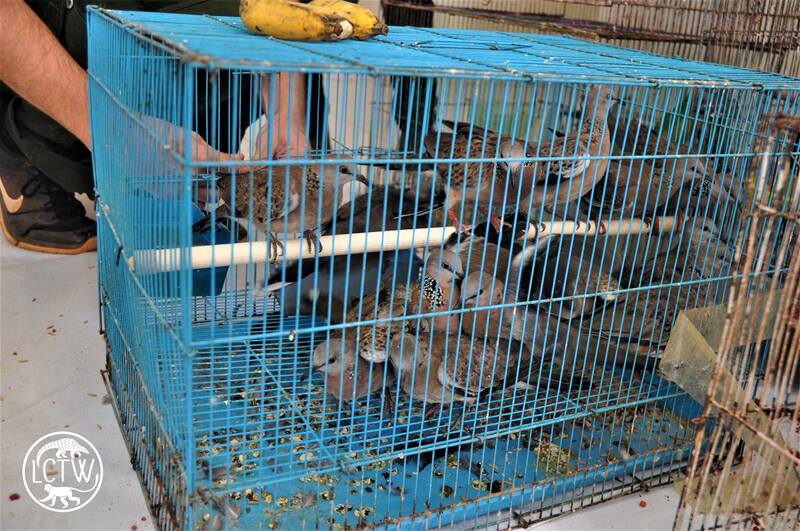 First, various species of Doves, Mynas and Red-whiskered bulbuls were released in different sites. Then, the Red-breasted parakeets were released, in another area. 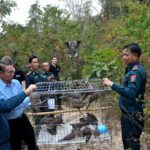 The releases went smoothly with the help of the same government officials who were able to confiscate the animals – a process coming to full circle! 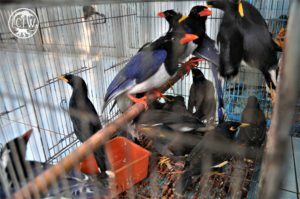 The Red-billed blue magpies were the only birds that could not be released as their flight feathers were damaged and need time to regrow. They are being safely housed at LCTW until the time comes when they can be released, keep an eye on the LCTW Facebook page for a follow up story about this species! 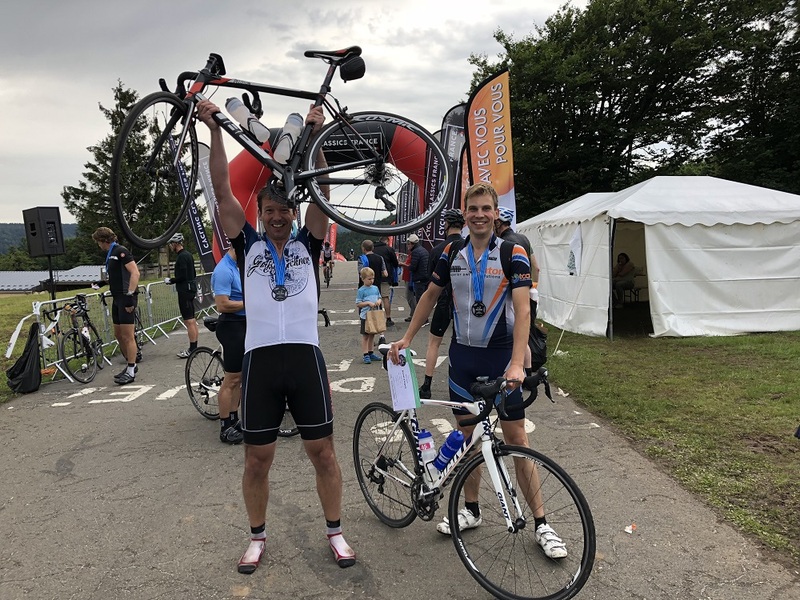 The LCTW is proud to report such a successful end to an incredible story! 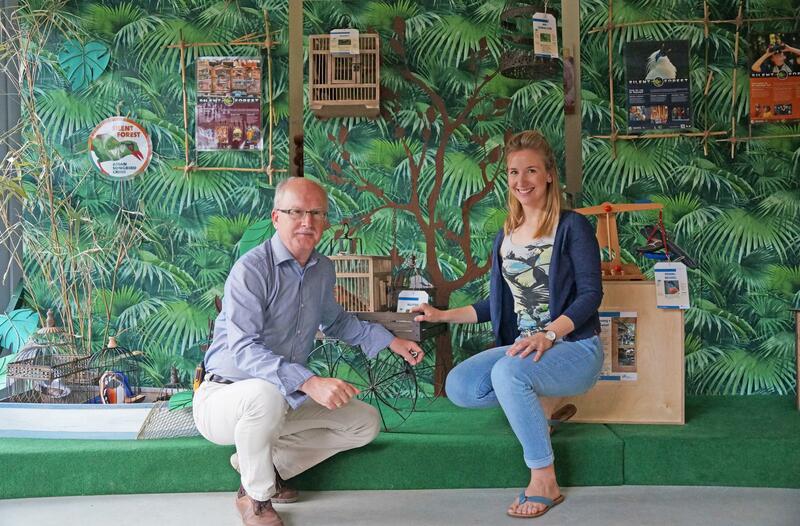 Copenhagen Zoo employs several people working on various projects in Indonesia. One of them is Hariyawan Agung Wahyudi, aka Yudi, working on the Banteng program in Baluran National Park. Yudi is 40 years old, he grew up in Central Java, Indonesia. 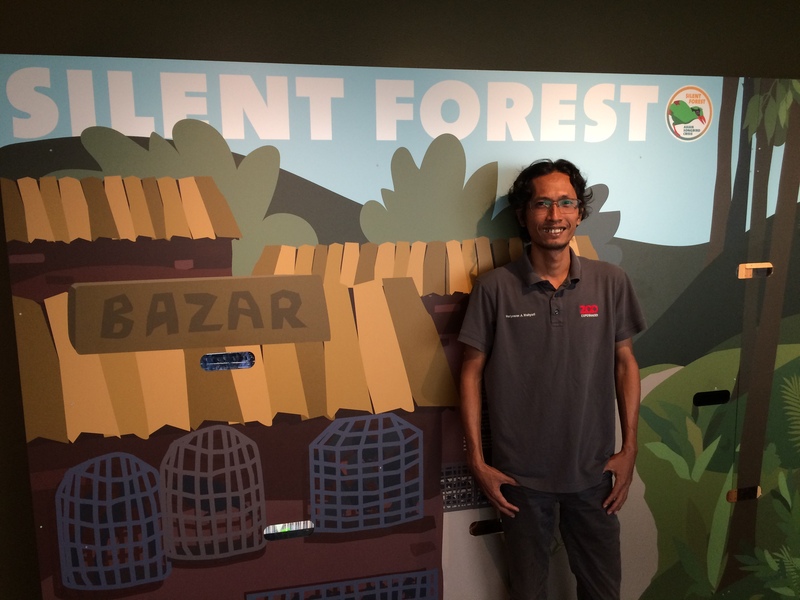 Although his focus for Copenhagen Zoo is Banteng, he is passionate about birds, like many Indonesians, and has been around them since its youngest age. 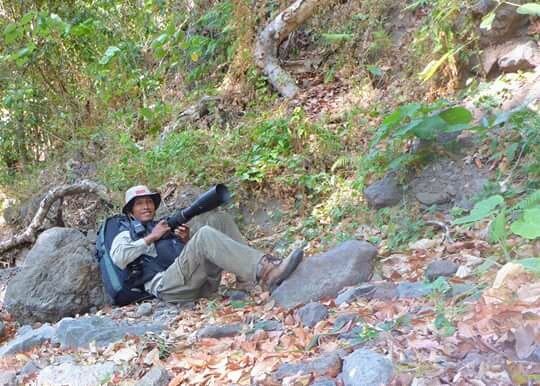 With a background of conservation biologist, Yudi loves observing them and really knows his species. He will tell us his story from childhood to now and share his passion of Songbirds. Discover the first part of his story today. “I was born in a traditional family in a small town named Kudus, in Central Java province, Indonesia. As many other household in Java, my family had many song birds in cage. As I remember, my father had 29 cages with different species in every cage. 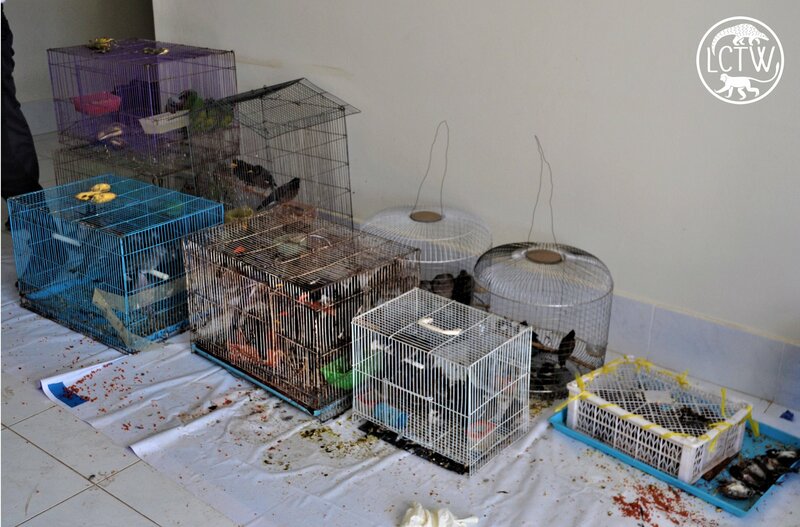 I had an obligation to take care of those birds, provide food, water, clean the cage and sometimes give them vitamins to make them sing happily. Our house was filled with birds song every day. 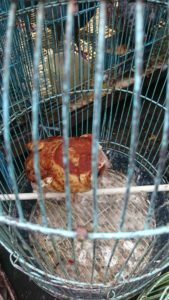 Sometimes, my father took me with him to bird markets to see if there is any interesting song bird to complete our collections. Hunting birds was also a game when we were children. 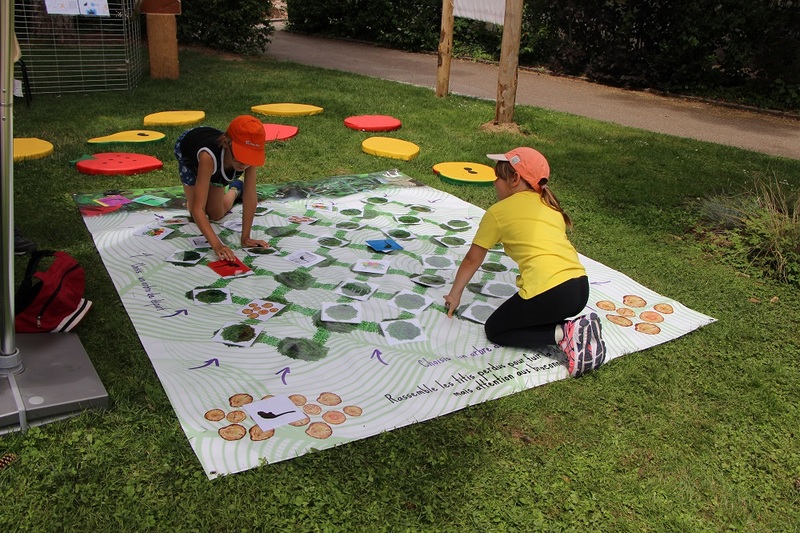 Every day after school, we brought our catapult, exploring sugar plantation or following riverbanks, to shoot birds. 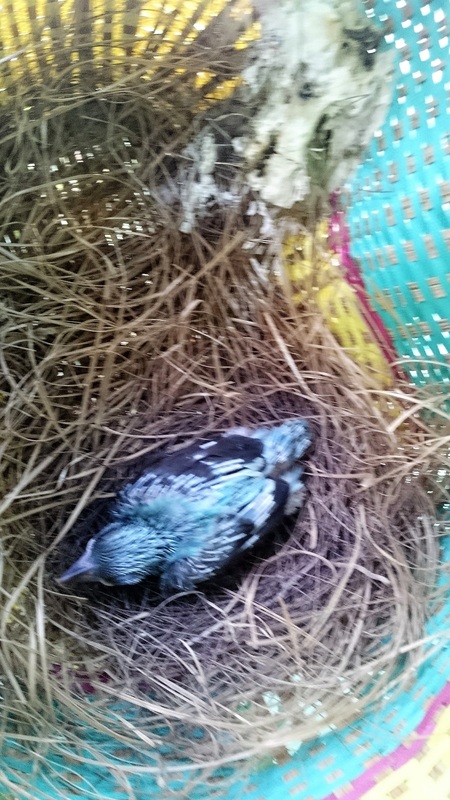 If we were lucky and found a nest of spotted doves full of eggs, we took it home and asked our mother to cook it. If she was too busy, we usually had a barbecue party with the gang. Sometimes the nest had chicks inside, we then took them home and nurse them until they were able to fly. We then released them in the wild. Honestly, maybe one out of 50 survived and were able to be set free. 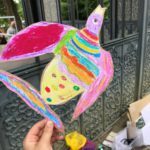 But for us, kids, taking care of the birds made us happy. This was in the 80s, while so many bird species were still easy to find everywhere in Java. 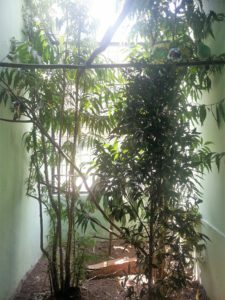 In those times, we still had huge open areas such as paddy fields, gardens with trees, as well as wetlands surrounding our village. In the past 25 years, many open areas have been converted into settlements. 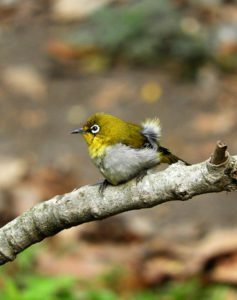 The high demand on new houses and other properties, has been compromising the birds’ habitat. Next time, he will tell us about when he discovered birdwatching and how he got involved with conservation. Stay tuned! 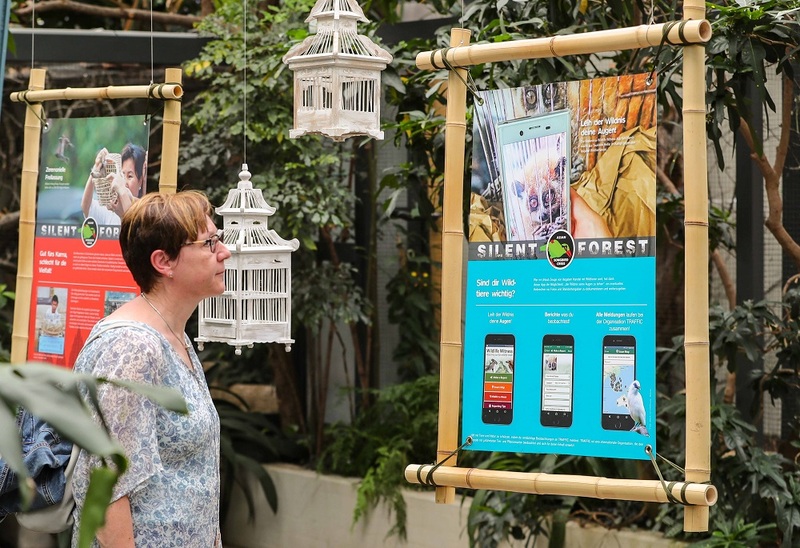 A new exhibit, focusing on the Silent Forest Campaign, was launched on August 10th 2018. 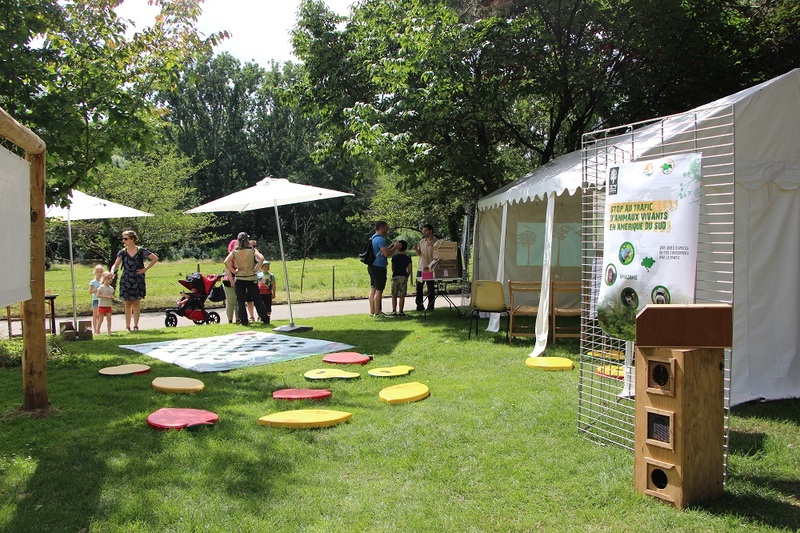 Visitors will find it in our conservation-exhibition hall which is dedicated to the “bee”. 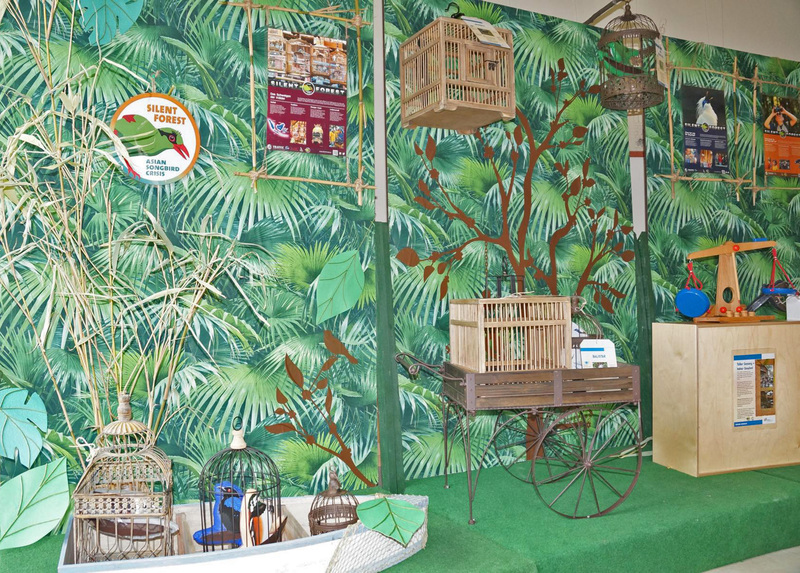 The displayed diorama shows a river bank in the South East Asian forests where songbirds are kept in small cages and traded on the market. 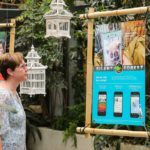 Information panels raise awareness to the songbird crisis, the affected species and to the aims of the Silent Forest campaign. 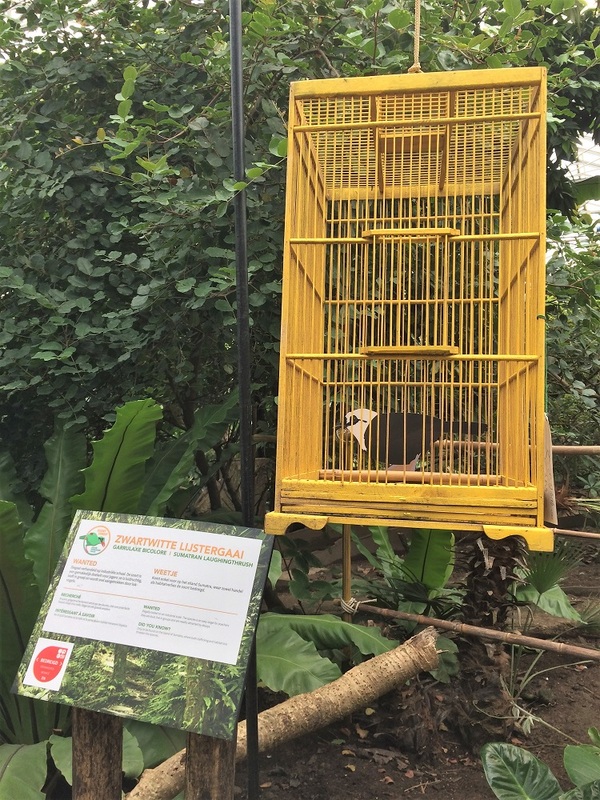 In addition to the South East Asian songbirds, we also want to inform our visitors about domestic endangered songbirds, what causes their populations to decline as well as ways to engage and help. 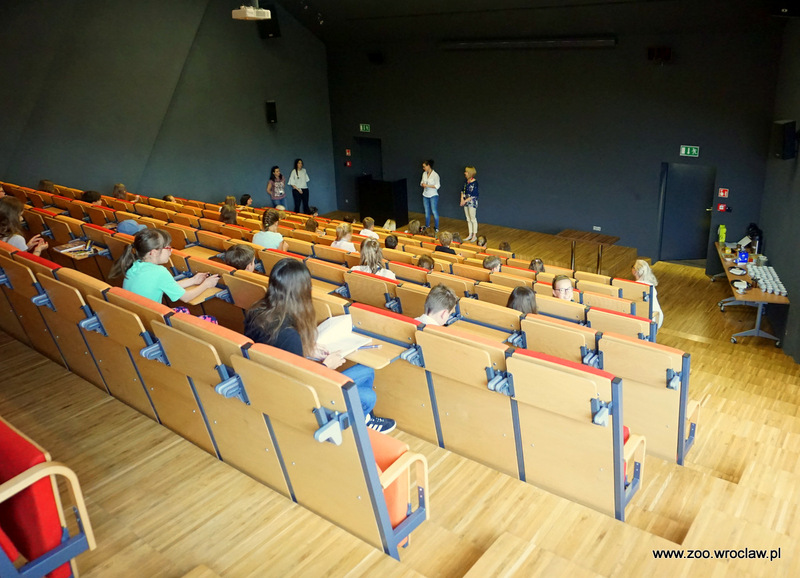 Thus, both topics are included in our environmental education programs and guided tours. 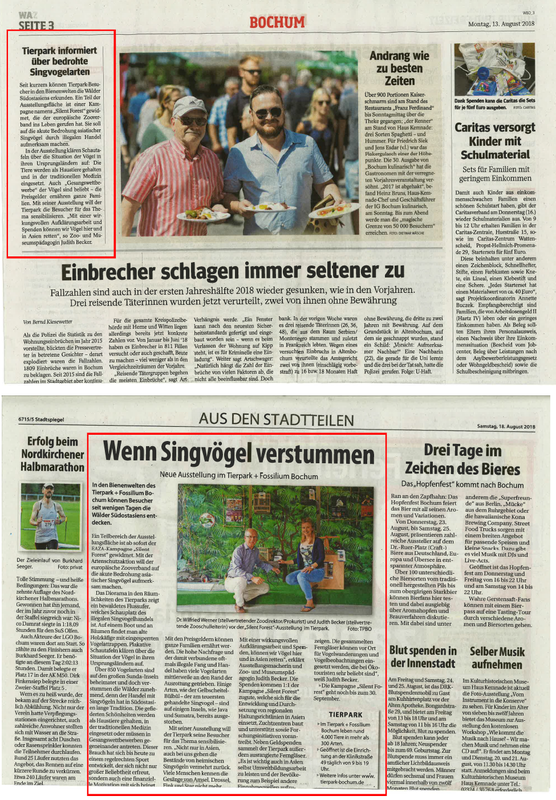 Silent Forest was even reported in the local press! Further activities, such as special activity days dedicated to the campaign are planned too. Visit our website to know all about it. 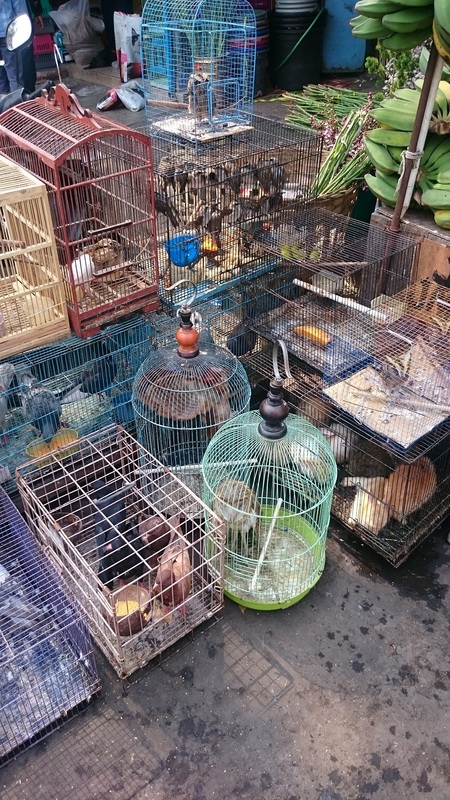 In addition to Songbirds, Owls are also traded as pets in Asian markets. 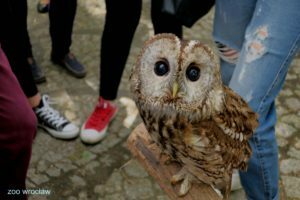 The phenomenon, known as the “Harry-Potter-Effect” (Nijman and Nekaris) due to the popular J. K. Rowling books and films, has soared to new heights in many Asian countries but particularly in Indonesia. 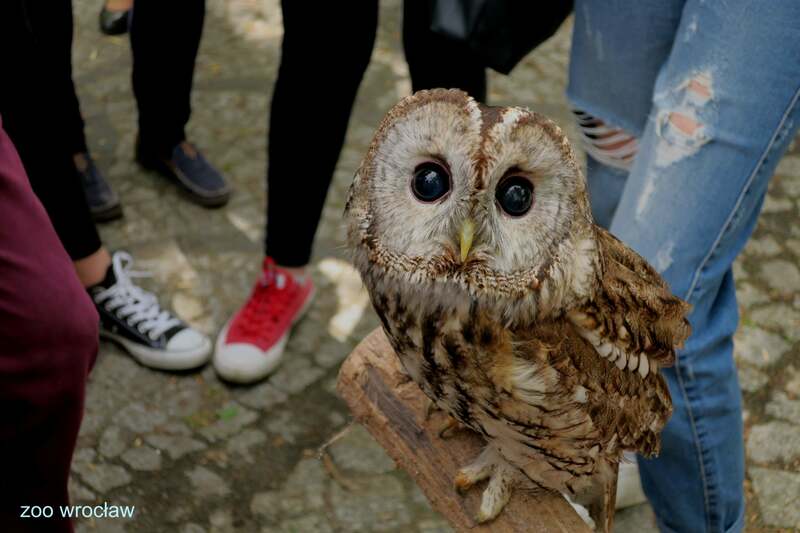 Recently the Indonesian group Profauna seems to have discovered another grim purpose for captive Owls. 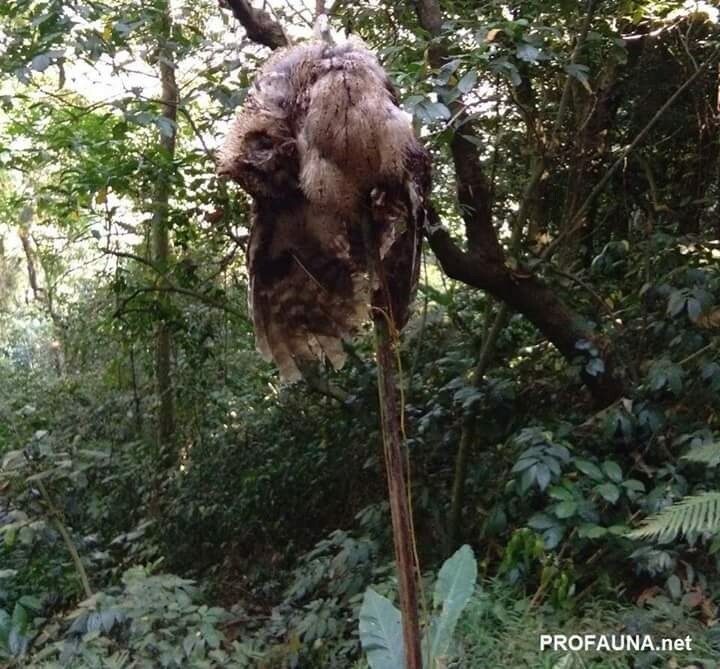 Trappers use a live Owl tied to a stick in the forest. It is quickly subject to intense mobbing from small Songbirds desperately trying to vacate the potential predator out of their territory. As the Owl doesn’t move away, the Songbirds get bolder, approach it and get caught in the glue traps and nets set by the trappers. This practice is wrong is so many ways! 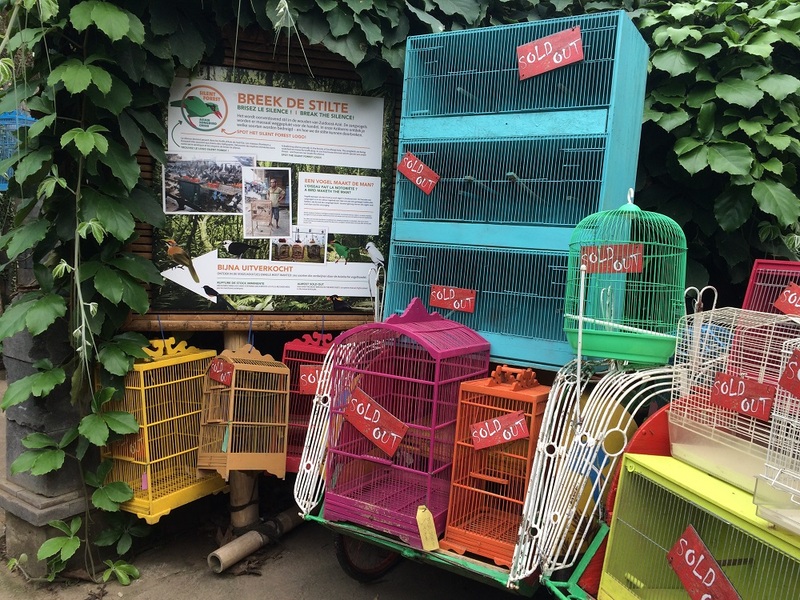 Not only is the capture of both Songbirds and Owls in Indonesia evidently not sustainable. It is also horrible for the nocturnal Owl to be trapped in bright daylight and for the Songbirds to be trapped next to a predator. There is evidence that the Owls and Songbirds often do not survive the ordeal and that trappers often don’t bother removing the corpses. This led to the discovery of this horrendous practice. 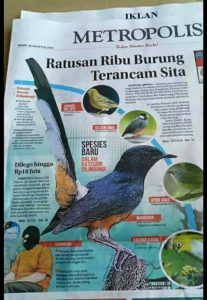 Indonesia takes a huge step towards saving their native songbirds! The Government of Indonesia has taken a huge step towards saving their native songbirds! The revised list of nationally protected species, including most Songbirds, which are threatened by the trade, lays the framework for further activities and enforcement to protect Songbird populations. 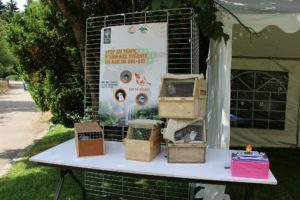 It however also provides the opportunity to transform the culture of enjoying songbirds in to a sustainable activity, which is also available for future generations to come. 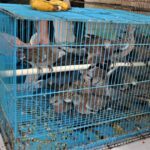 Unfortunately there is significant opposition, as one could imagine, especially from commercial entities making profit from the Songbird trade. 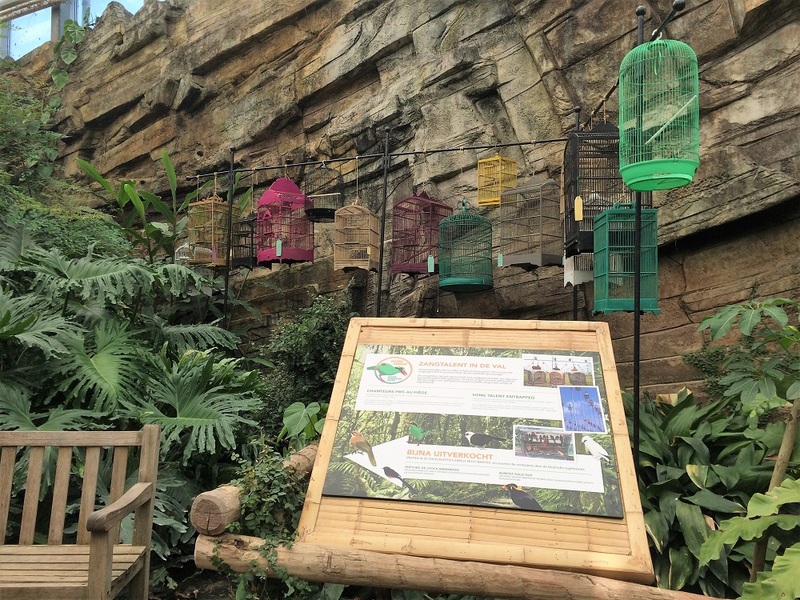 But their complaints are shortsighted as the current trade is literally depleting its own foundation – the Songbirds are disappearing and will not be here for future generations to see or hear if things don’t change. 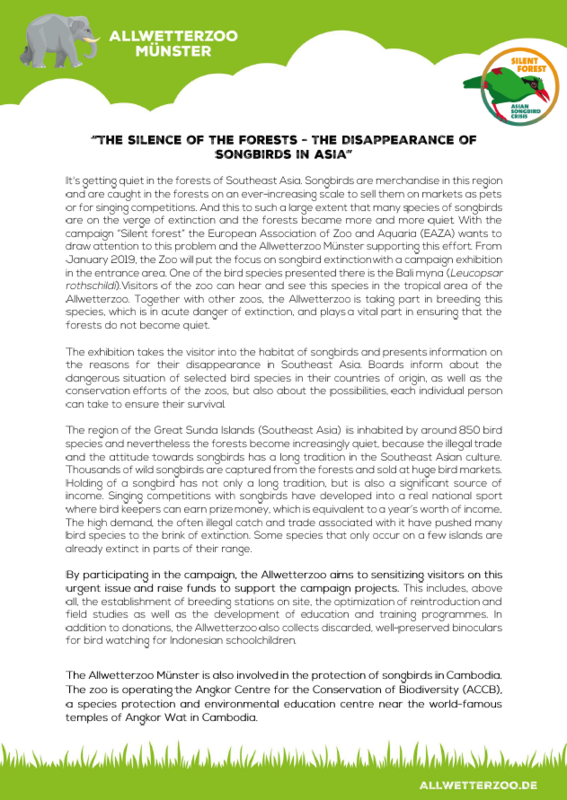 The Silent Forest Campaign applauds the Indonesian Government for taking these steps now, before it is really too late. We encourage all involved to stay strong and continue the process on the path started. 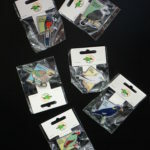 For Songbirds and for people who enjoy Songbirds. With the highest respect and appreciation on behalf of the conservation campaign, Silent Forest. 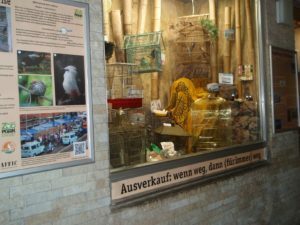 A couple of months ago, we posted about Cologne Zoo and other institutions celebrating International Songbird Day. The day had an artistic angle. 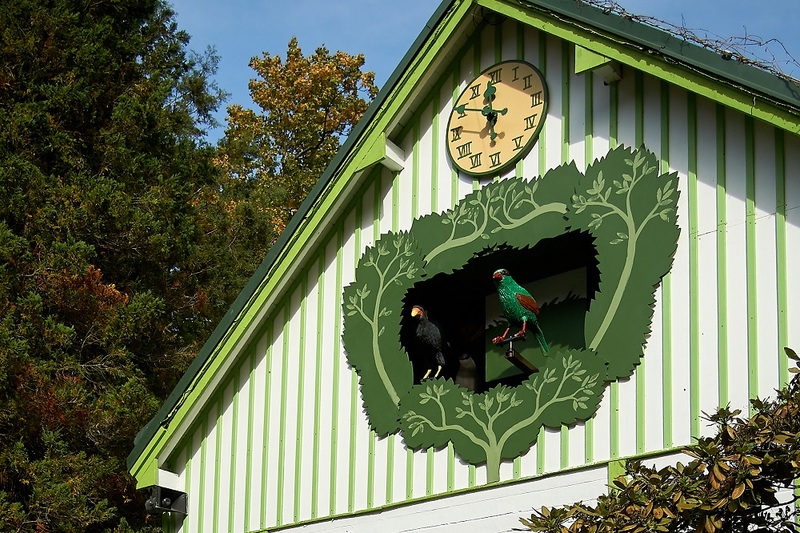 The artist Rolf Jahn painted his “crazy birds” on a wall as a permanent artwork. Tattoo artists from four studios immortalized bird passion in a very original way and generously donated their fees to the Silent Forest campaign. 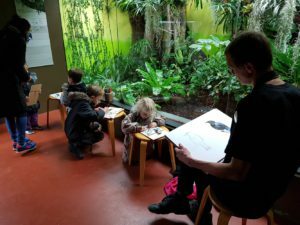 Uwe Reetz – singer, songwriter and animator – helped by talented kids performed, in a German version, the beautiful songbird song from Ashley Fayth, in cooperation with Chester Zoo. 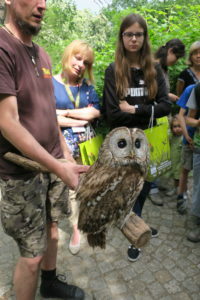 Polish schoolchildren know everything about Songbirds! In support of the “Silent Forest” campaign, ZOO Wrocław (Poland) is organizing many activities for all age classes. 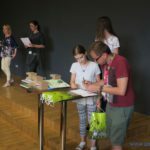 Last May, the first competition of knowledge for primary schools from all over Poland took place at the zoo. 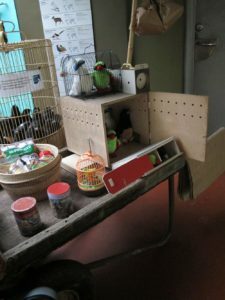 Thirty students from several cities participated after having learned about Songbirds on the zoo website. 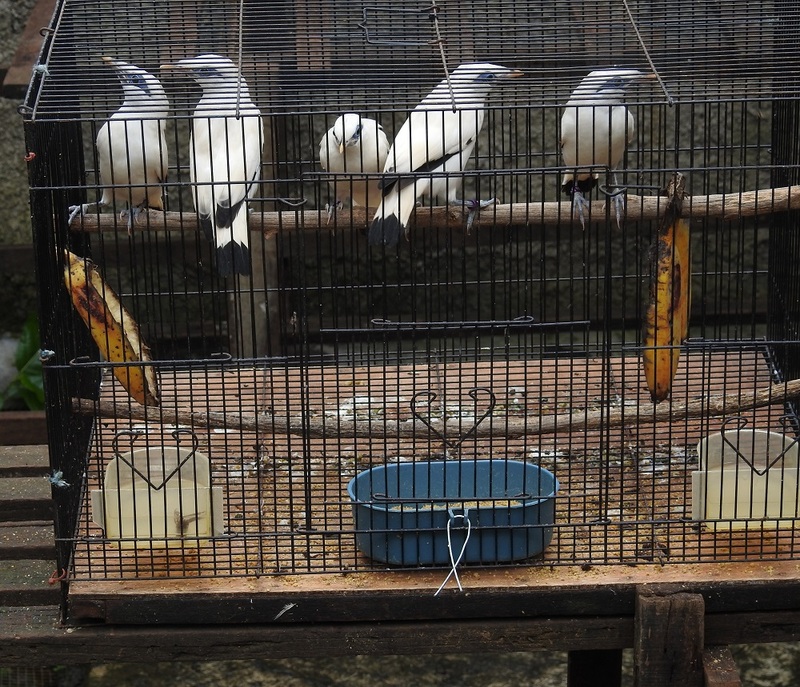 Very detailed questions were asked such as “Which species is the symbol of the islands of Nias?” and “What is the name of the national park where Bali Mynas’ breeding is carried out?”. Would you know the answers?? 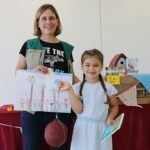 The winners were thrilled to meet the birds’ zookeeper and Balbinka, the owl! Some events are currently carried out and you can still participate! 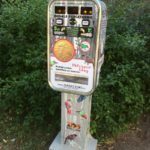 Art competition from 04.2018 to 30.09.2018: make a sculpture of a Silent Forest flagship species. 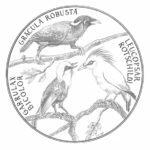 Photography competition from 03.2018-28.02.2019: take pictures of birds that are found in indicated places all over the world. Other will soon start. 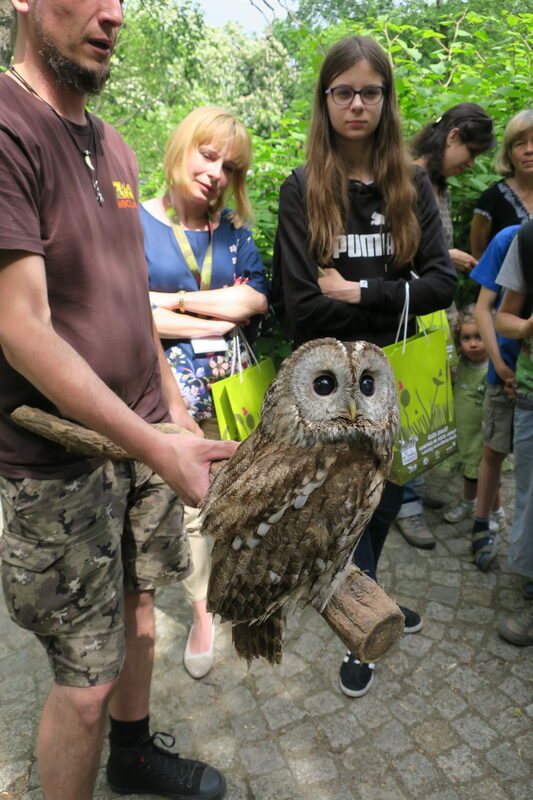 Make sure to follow Zoo Wroclaw’s schedule so you don’t miss them. A recycled birdhouse competition, related to Bird Watching journal, will happen from 01.11.2018 to 31.03.2019. 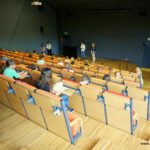 A charity concert will be organized around October 2018 and a specific Silent Forest day will be celebrated in 2019. 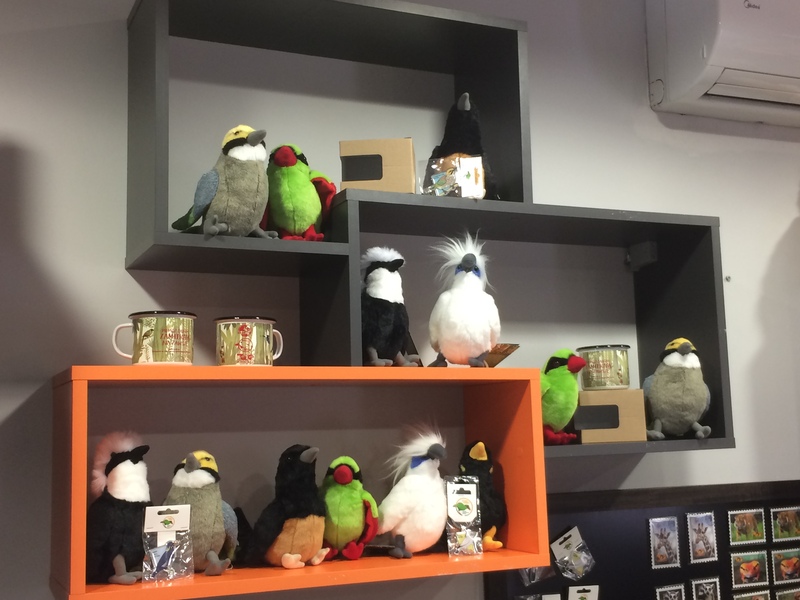 Any other day of the year, visitors can still learn about Songbirds in the Africarium, where a Silent Forest exhibit was set up, and support the Campaign by purchasing a cute souvenir at the giftshop! 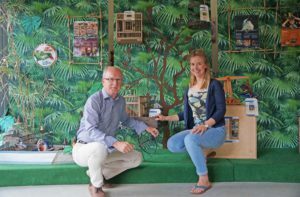 In support of the Silent Forest Campaign, ZOO Planckendael (Belgium) is raising awareness of the Songbirds fate in South East Asia. 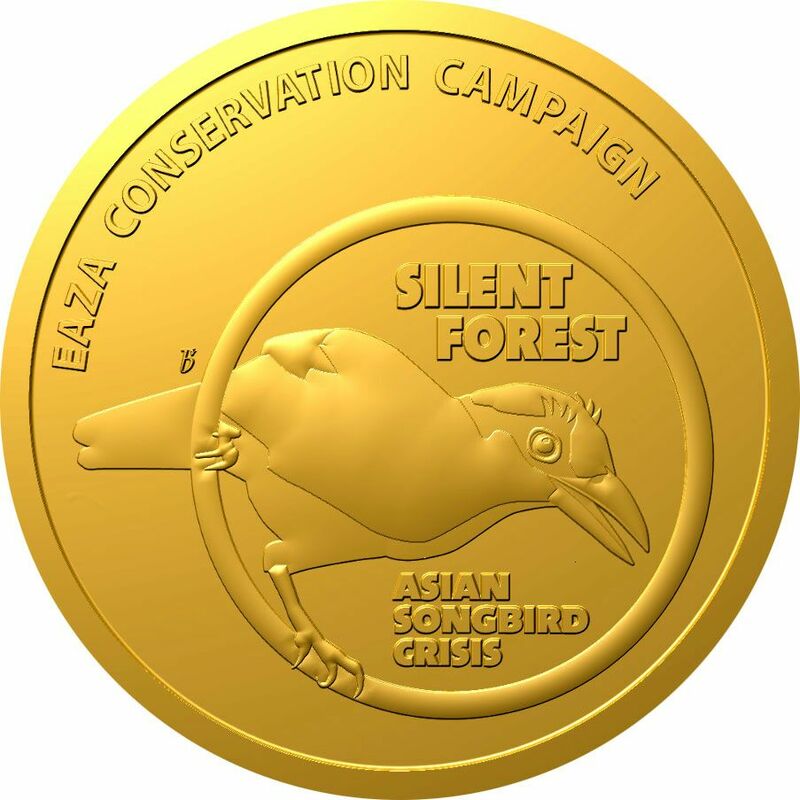 A Silent Forest gold medal for Bird enthusiasts! 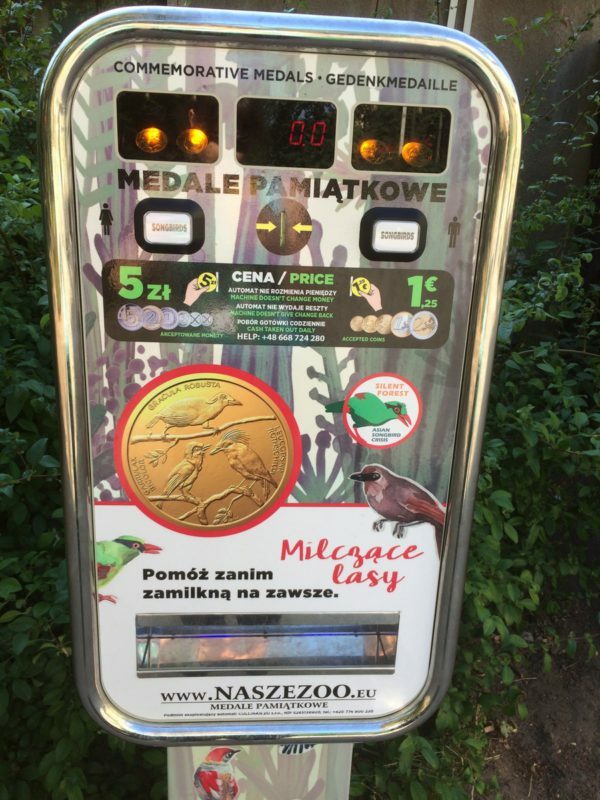 Commemorative medal vending machines are in use in several European zoos already, selling coins with their favourite animals on them. 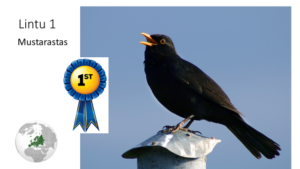 So why not using them in favour of the Songbirds? 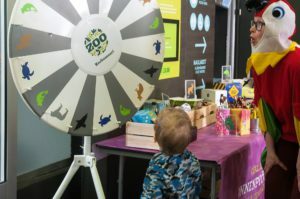 Especially when children really love to bring souvenirs from their zoo visit! 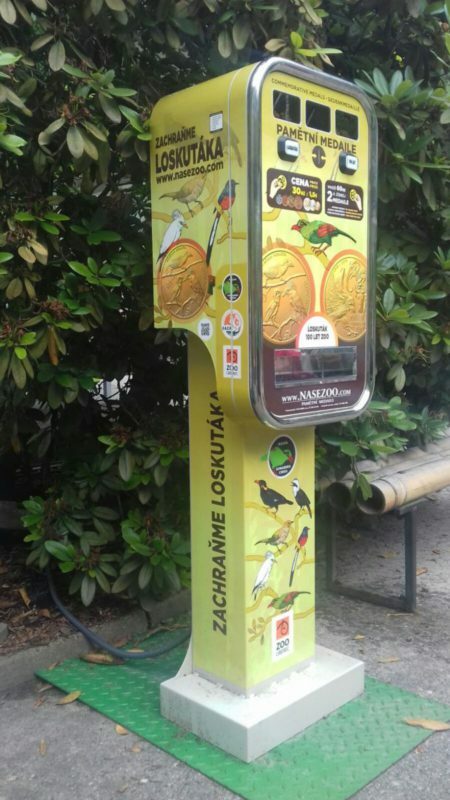 Wroclaw Zoo (Poland) brought this awesome idea to life in cooperation with Cullinan company and Liberec Zoo. 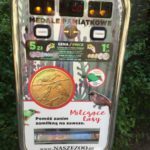 They have already helped spreading this fundraising tool to other zoos in Poland, Czech Republic and Slovakia. 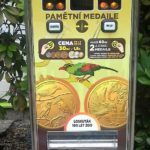 Each vending machine sells medals for 1,5 – 2 EUR a piece (depending on the country) and the profit is being donated to the Silent Forest Campaign by both zoos and supplier! 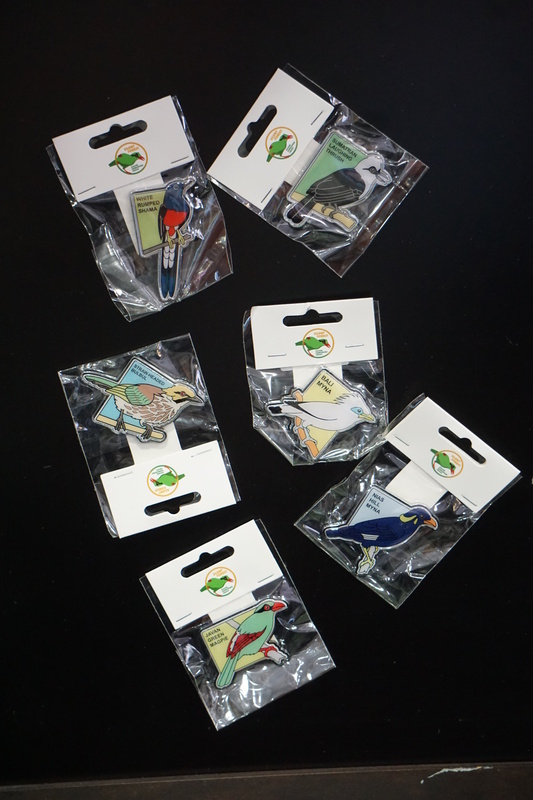 An easy way to please your kids and help Songbirds conservation! 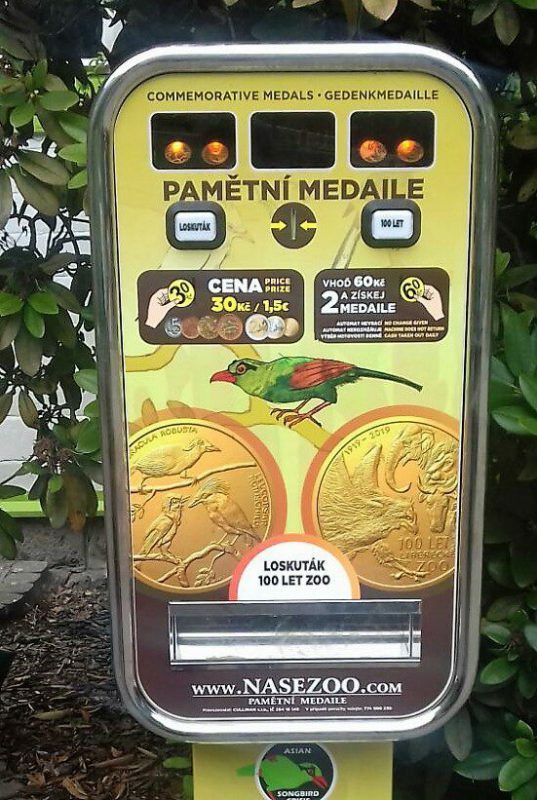 If zoos from other countries (preferably from Germany, France, Austria or Hungary) are interested in having the commemorative medal vending machine in their institutions, the supplier can provide both machine and coins without having to pay any extra costs. 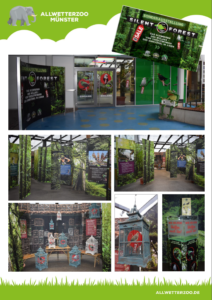 For more information, please contact the Silent Forest Campaign office in Zoo Liberec: tesarova@zooliberec.cz. 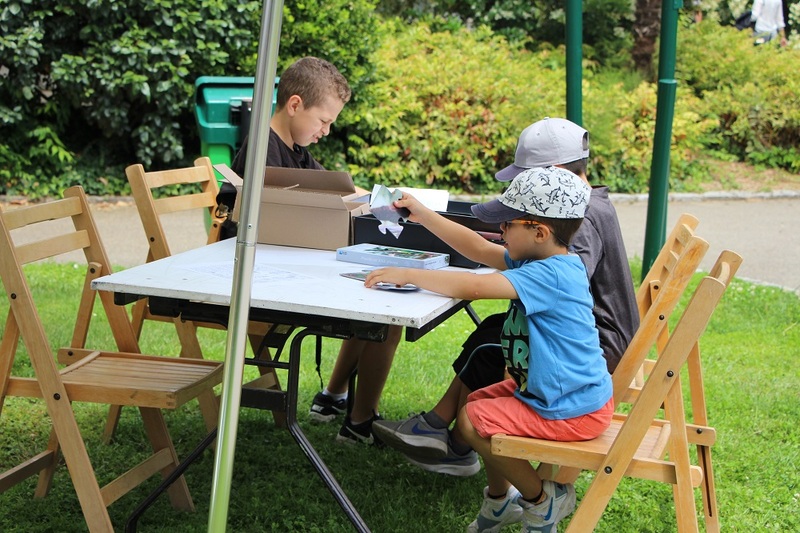 On 17th and 24th of June, the Silent Forest days took place in Mulhouse zoo. 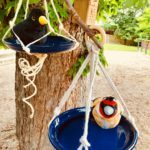 How can we draw our visitors’ intention on Songbirds? 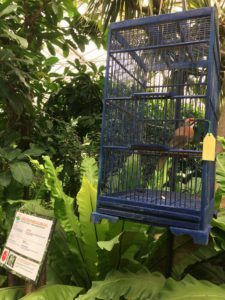 That’s not so easy: birds are shy and sometimes hide when people come in their aviary… Thus we played birdcall recordings in our aviary to lure our Sumatran laughingtrush and Bali myna closer and make them sing! 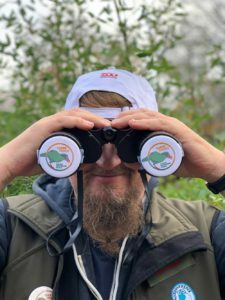 Once close enough to observe them, people were more curious and receptive about what we had to share: the Sonbirds’ biology, their fate in the wild, how EAZA and its Members help to protect these animals and fight poaching etc. 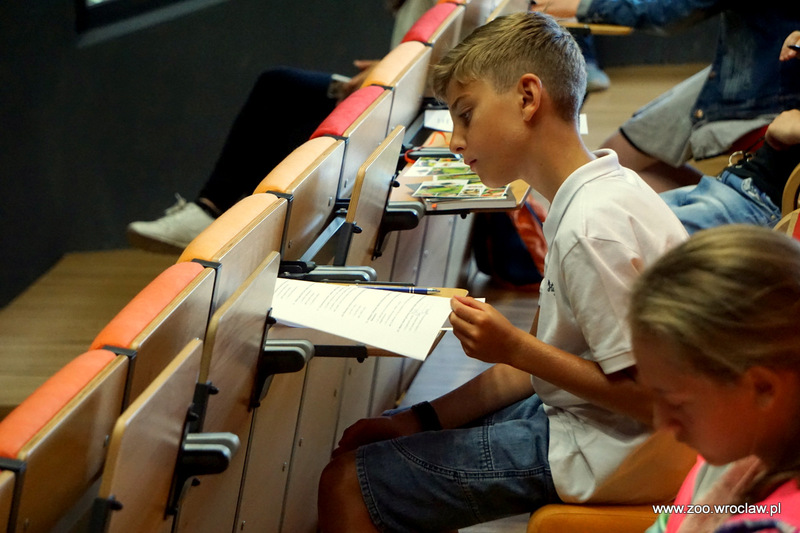 Adults were invited to watch three videos talking about the Songbird crisis and deforestation, while kids participated to games on the same subject, bird origami workshops, colouring pictures or puzzles. 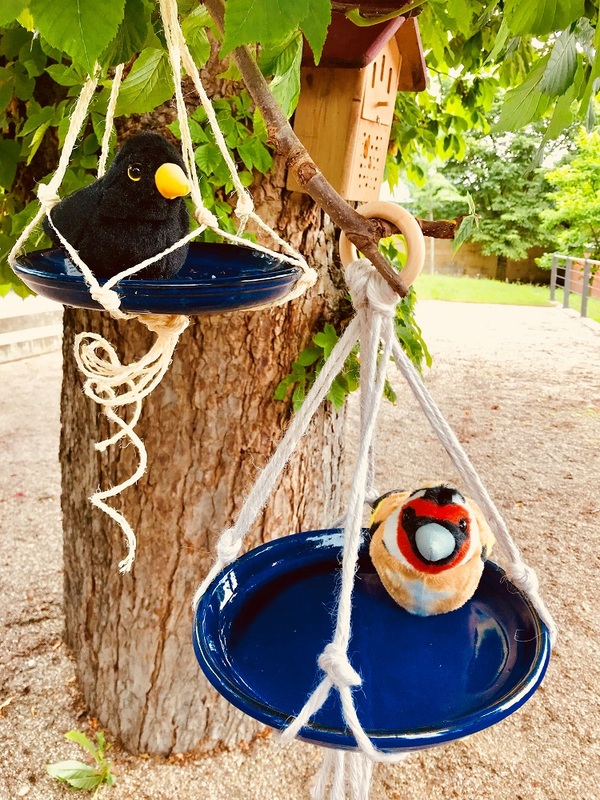 Discussions were extended from the Silent Forest campaign aims to local passerines, which are traditionally poached in some French areas and are confronted with environmental destruction in all Europe. 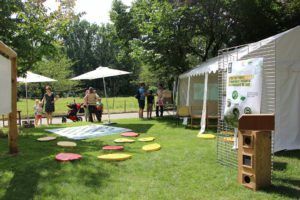 Many visitors even asked how they could help passerines to live in their garden, giving us the opportunity to make a bound between the Silent forest and Let it grow campaigns! We were very excited to highlight the unknown Songbirds for this campaign! 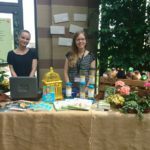 These days also gave us the opportunity to bring up many different conservation subjects and fulfil an important mission of zoos! 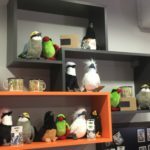 Remember last month’s post Racing for Mynas? 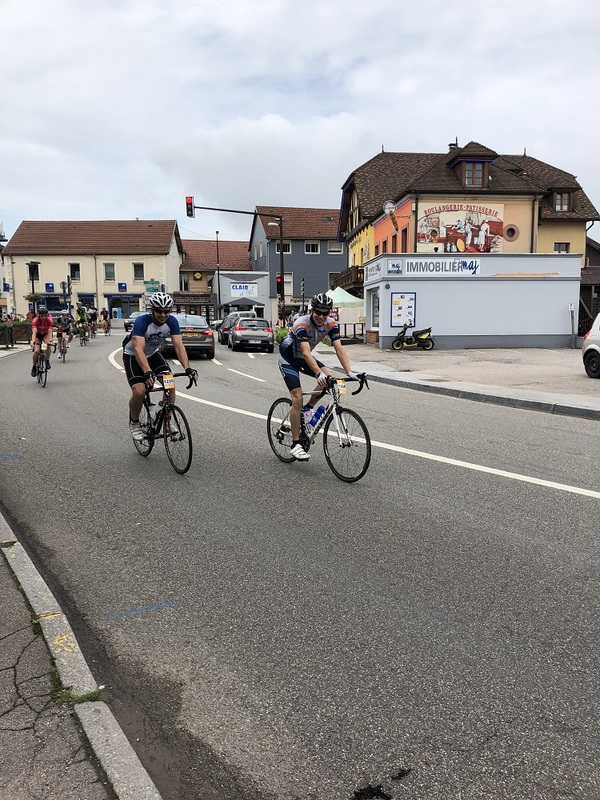 The race is now over and was successfully finished by our two athletic birds enthusiasts! Here are some updates from Joost Lammers (Birdpark Avifauna, The Netherlands). Congratulations for the incredible achievement and many thanks for the contributions!